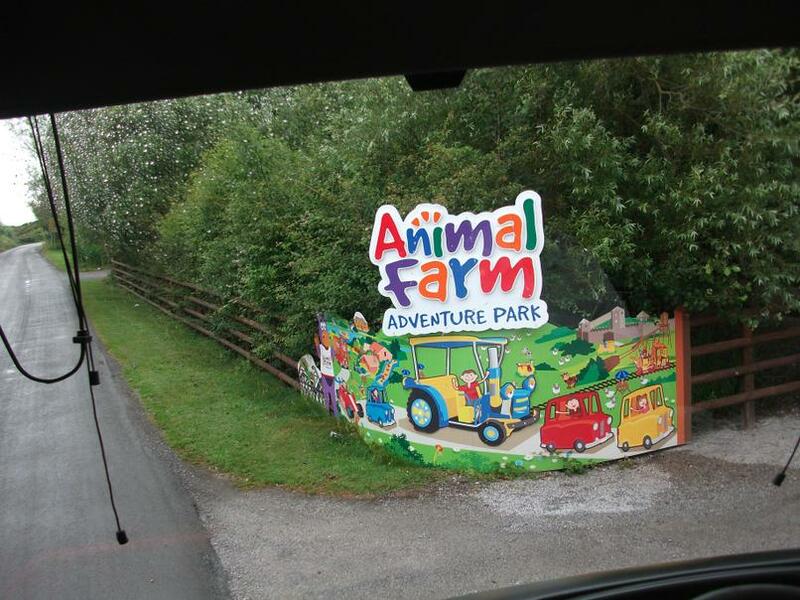 The trip to Animal Farm was a great success. 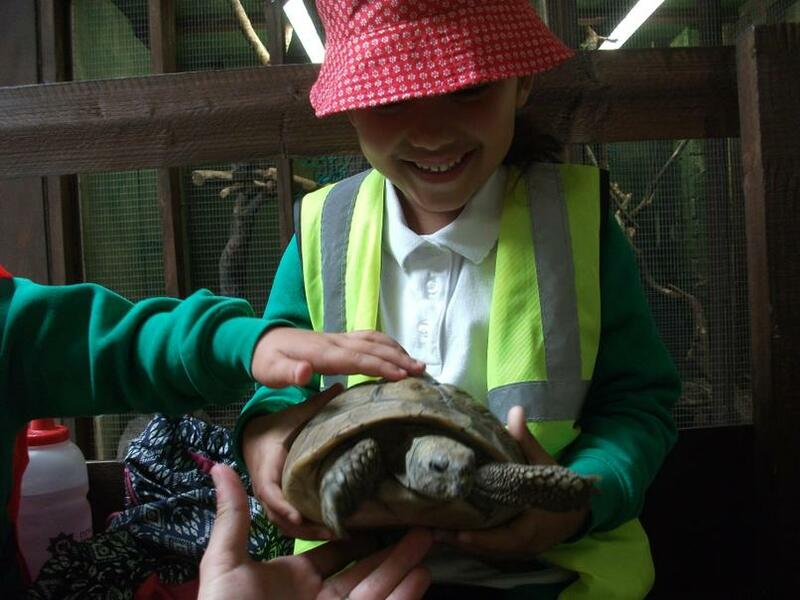 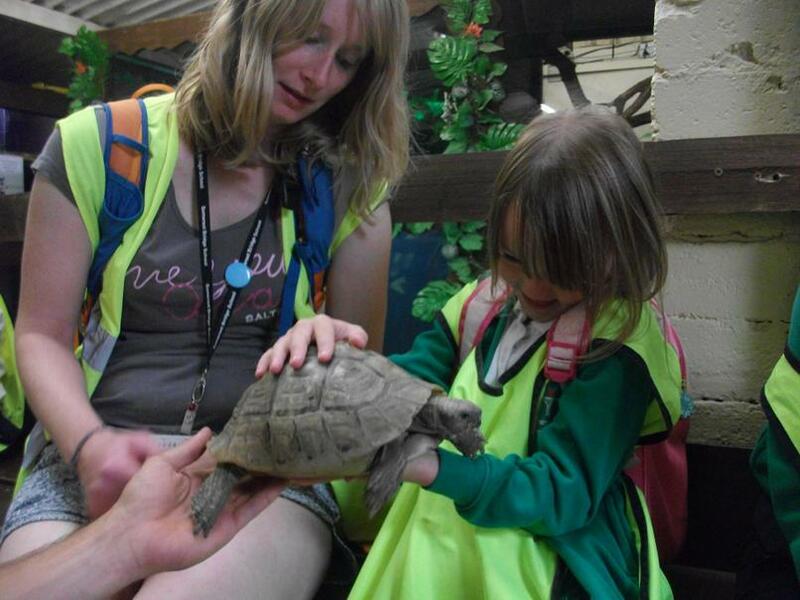 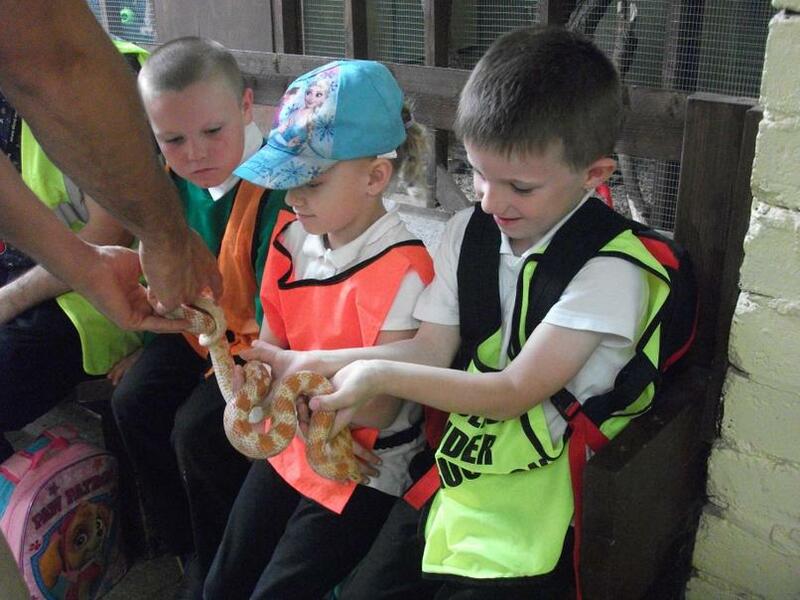 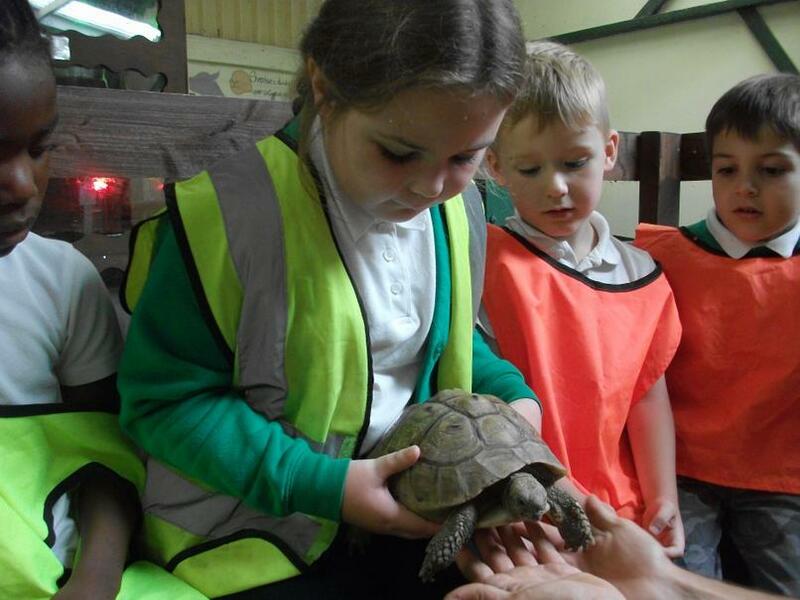 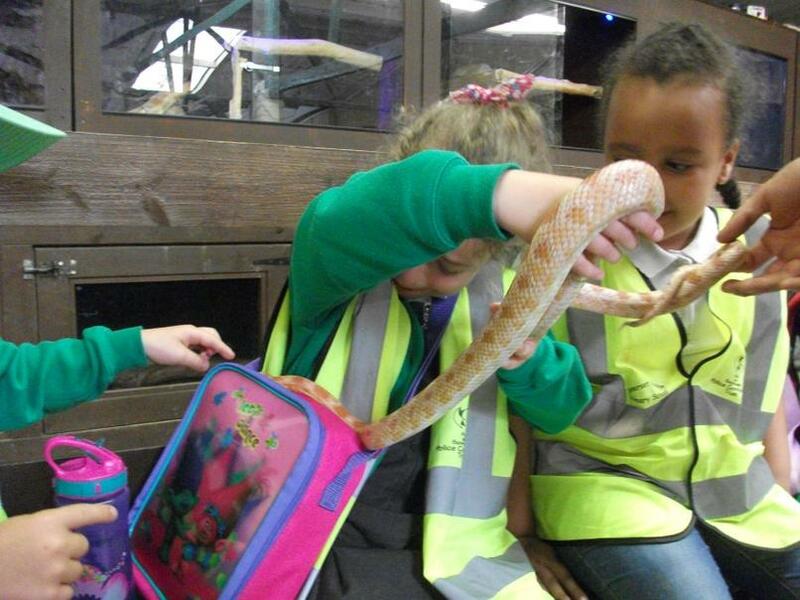 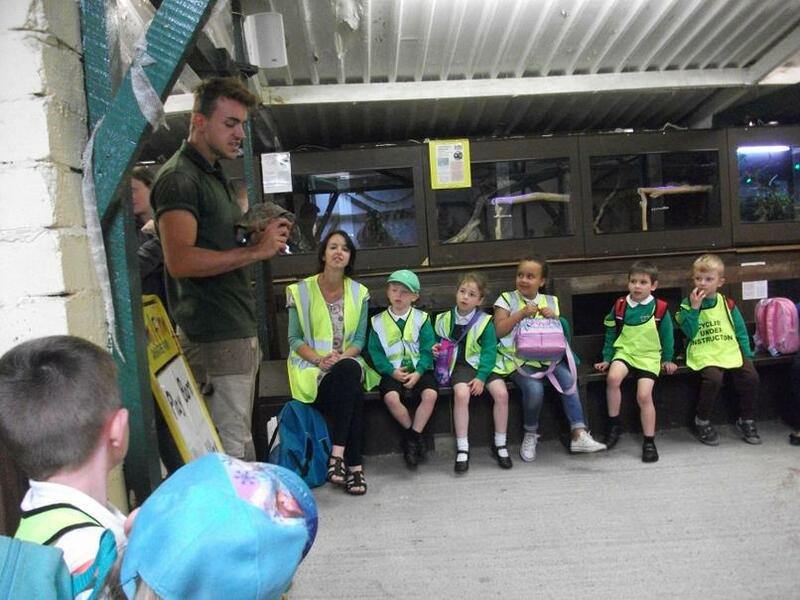 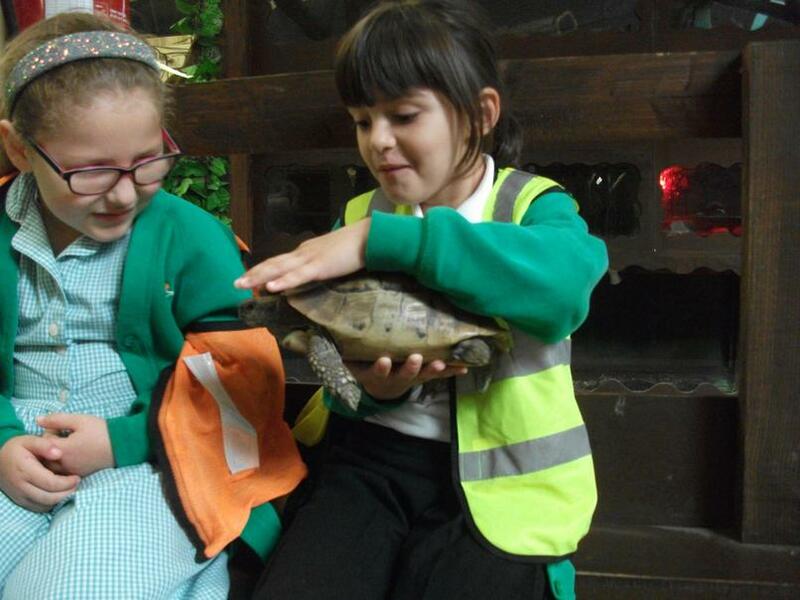 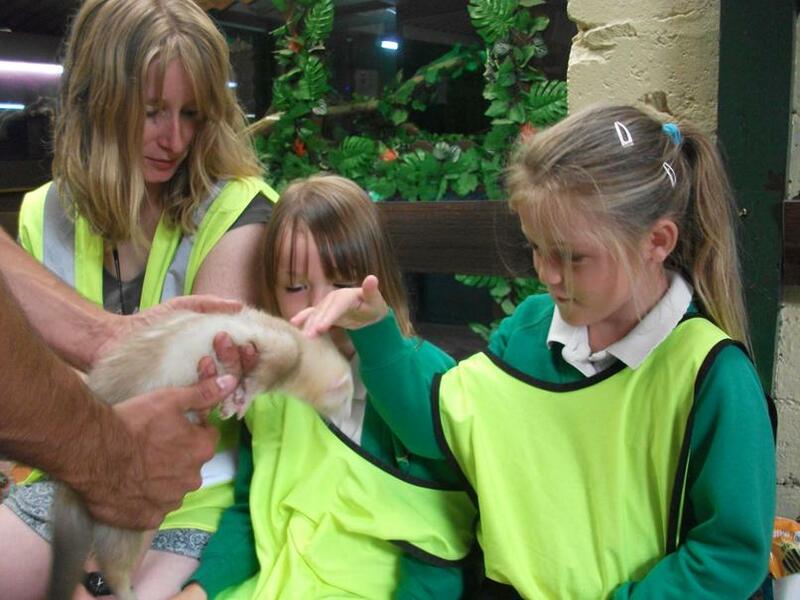 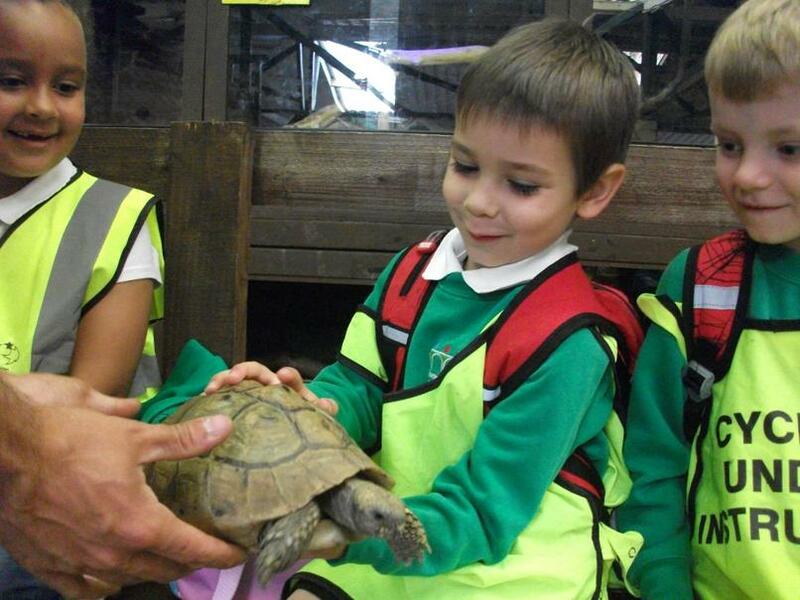 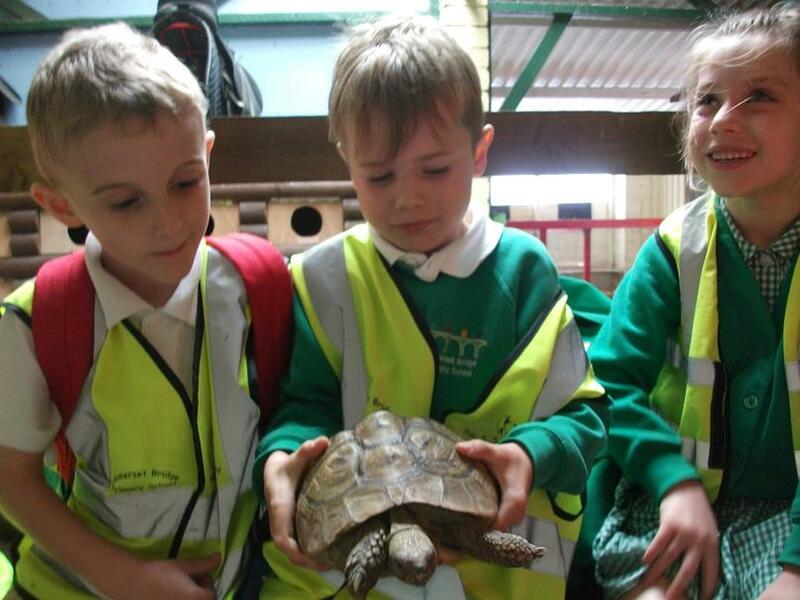 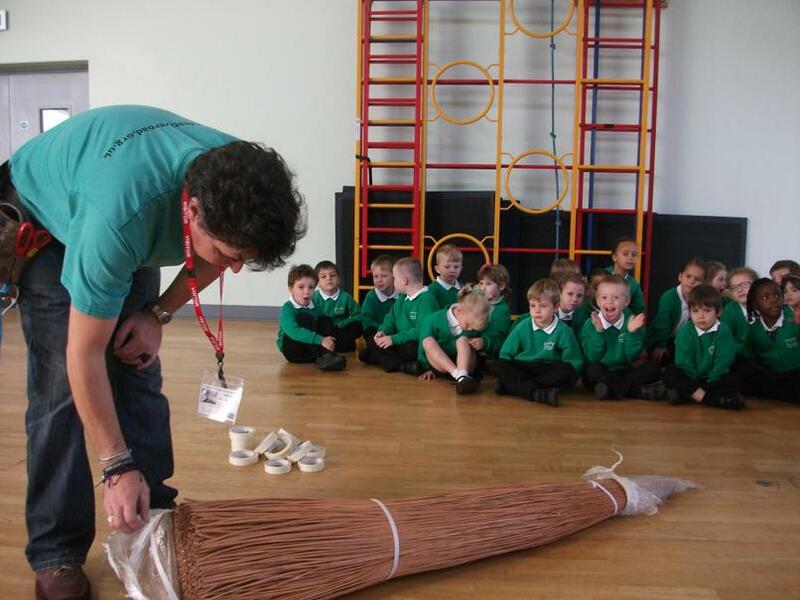 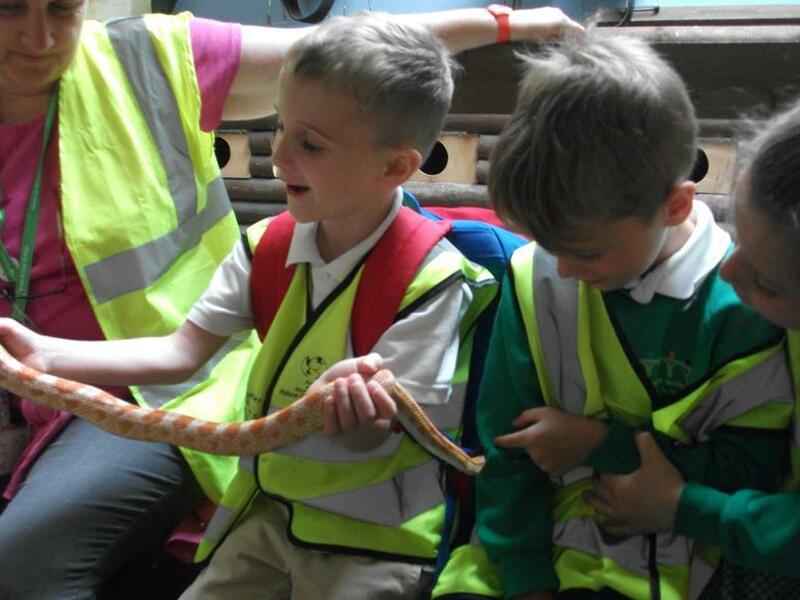 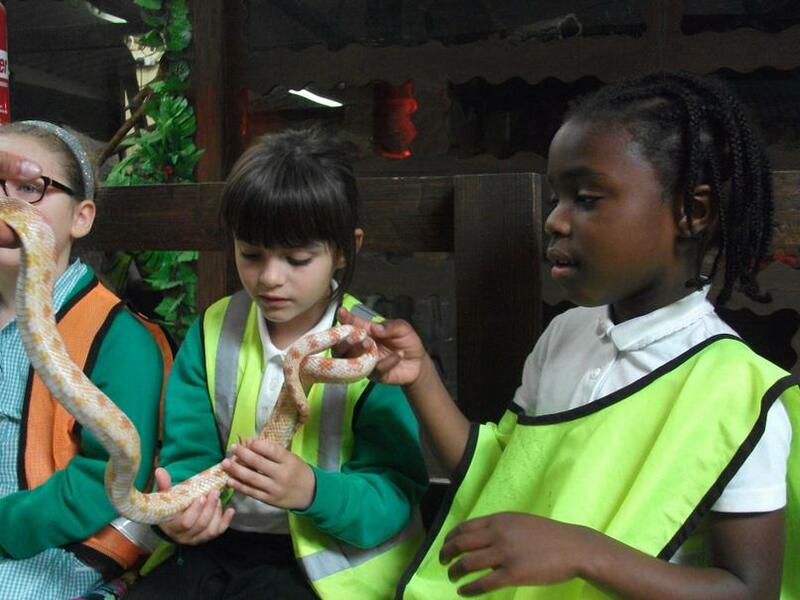 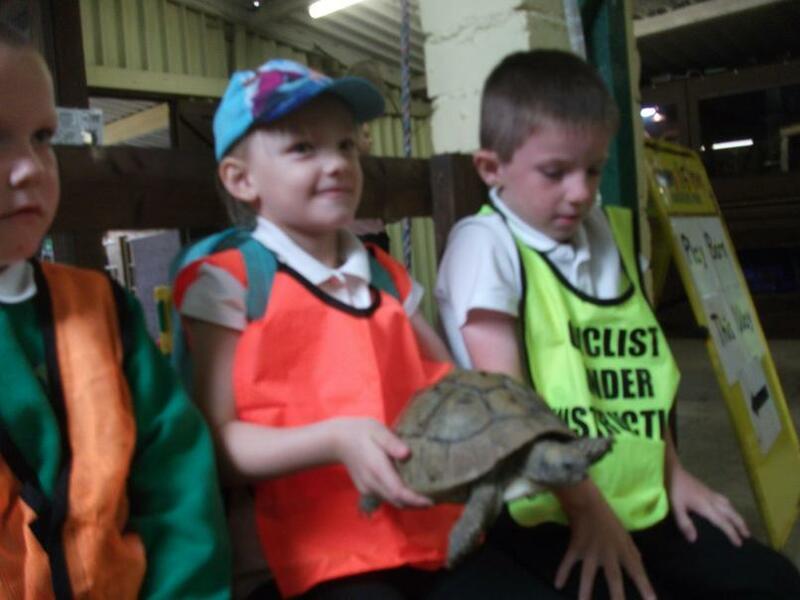 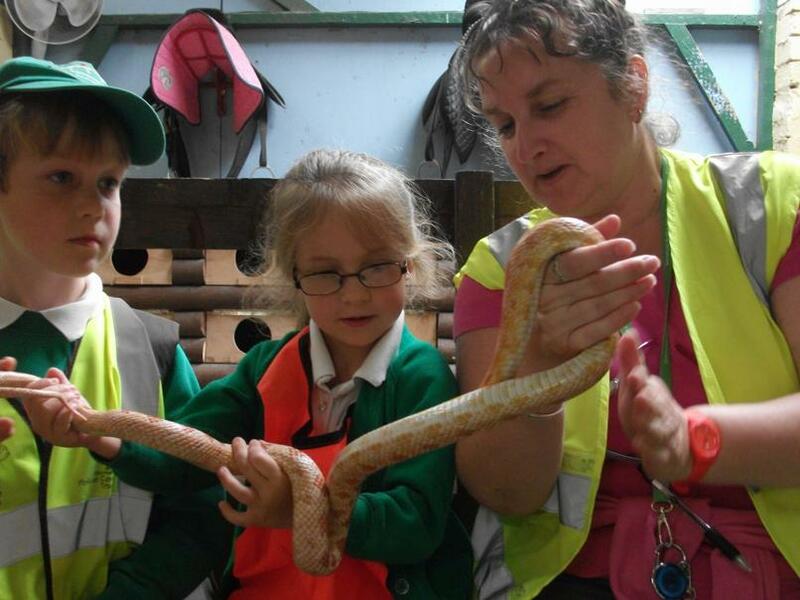 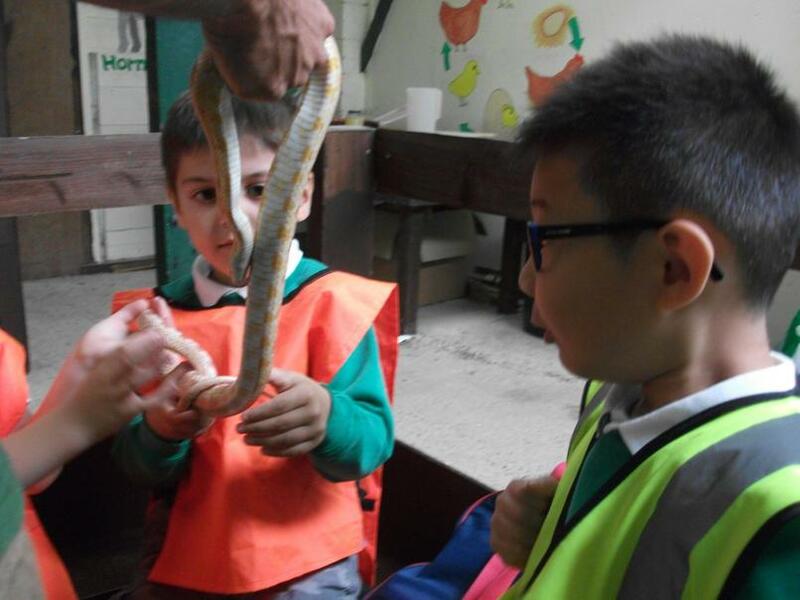 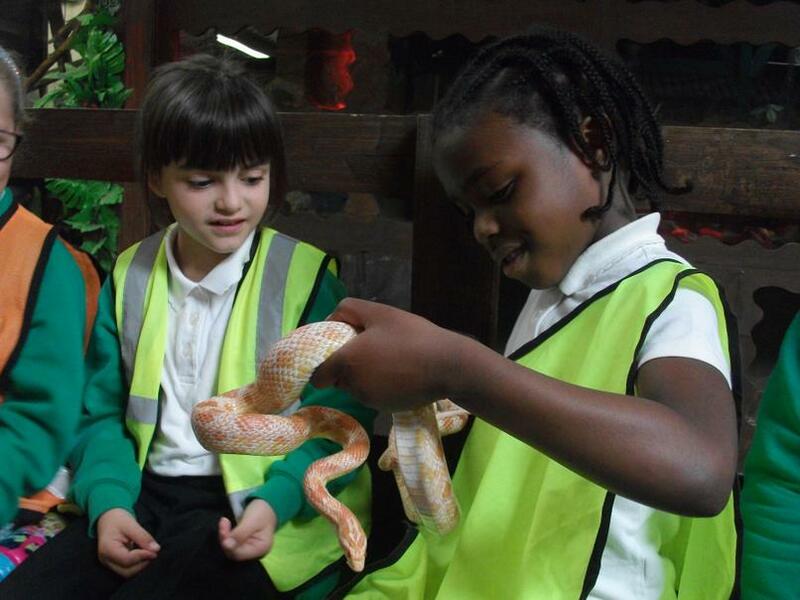 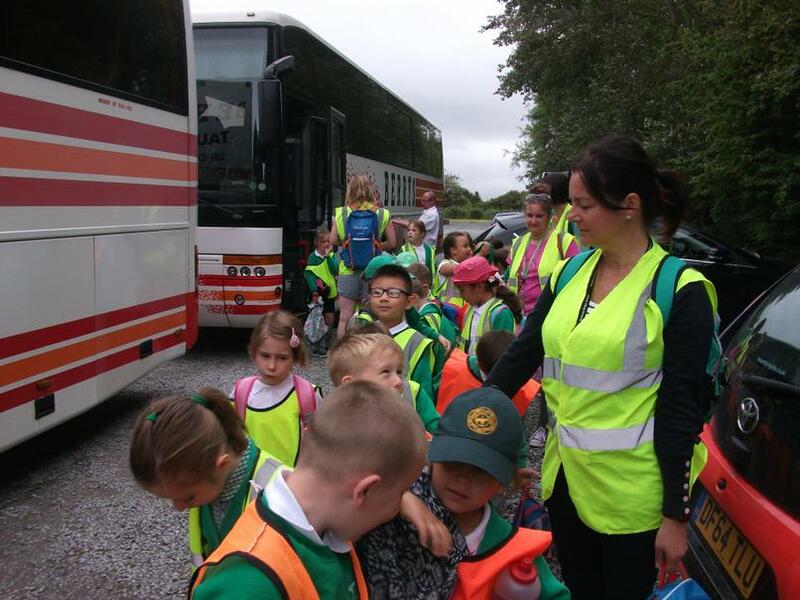 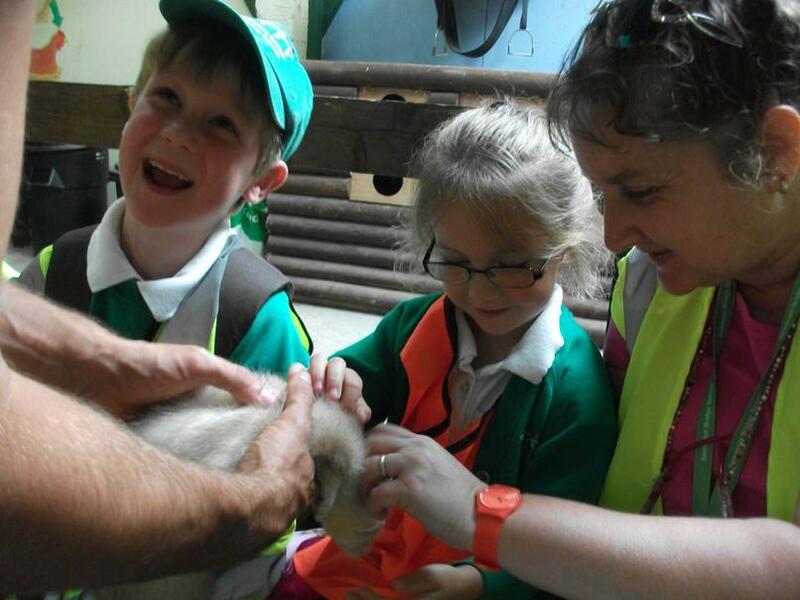 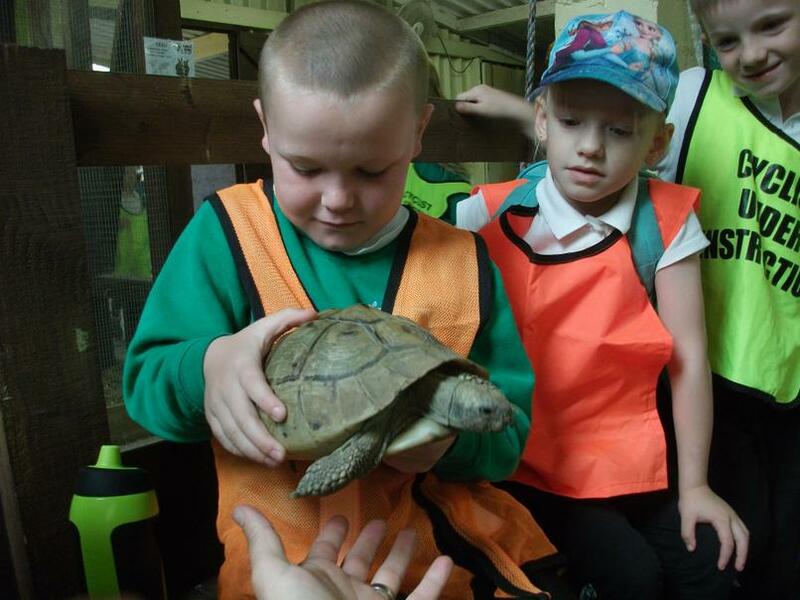 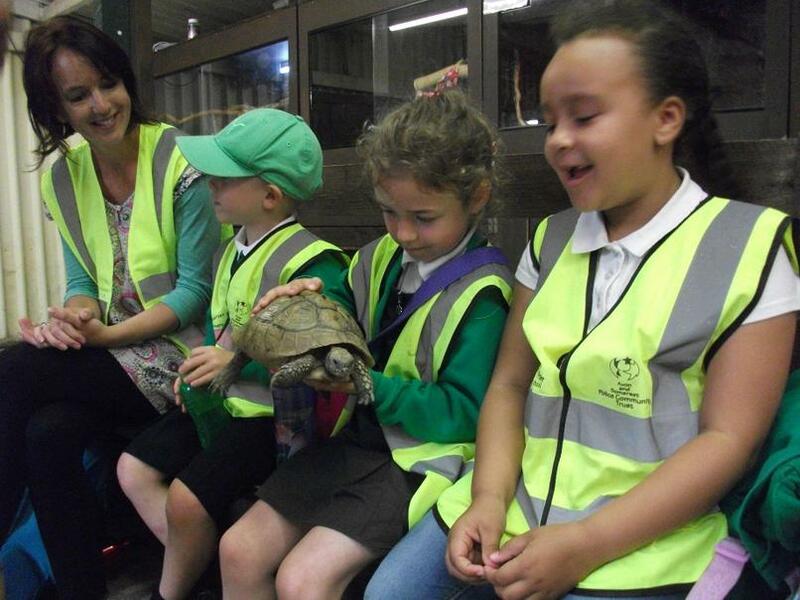 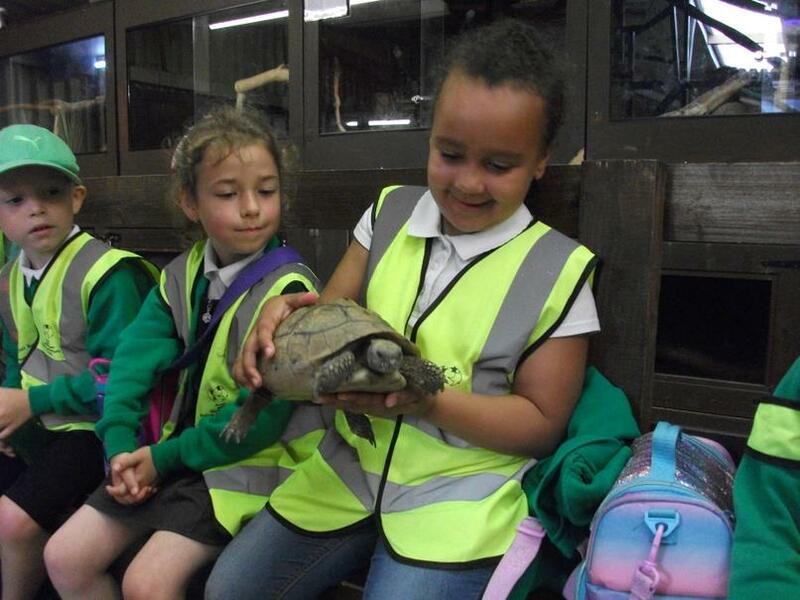 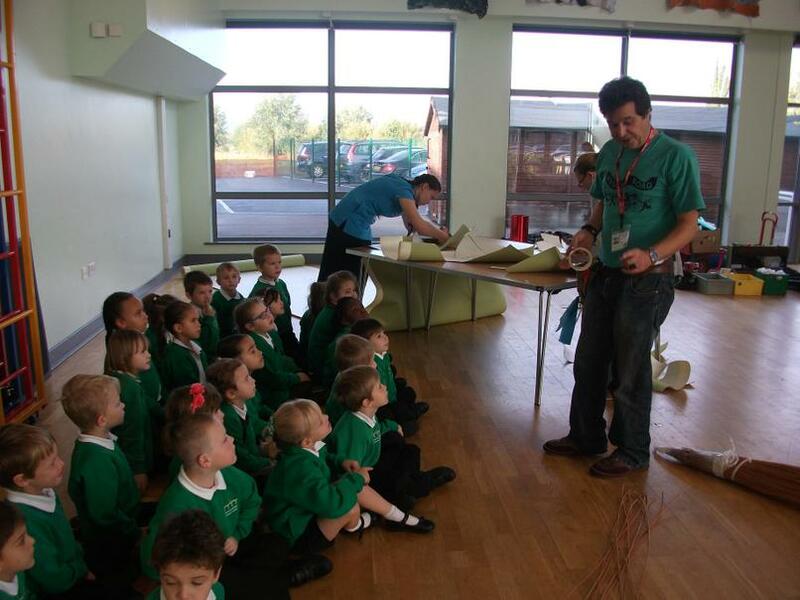 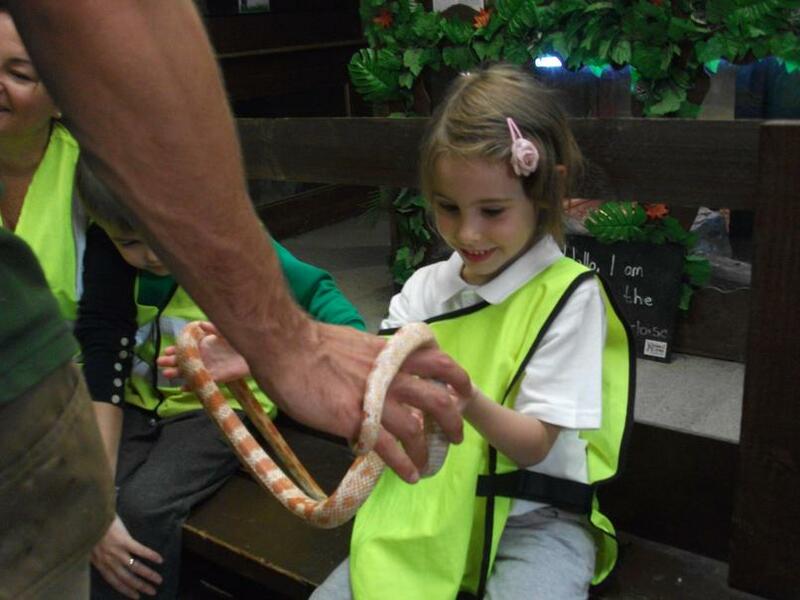 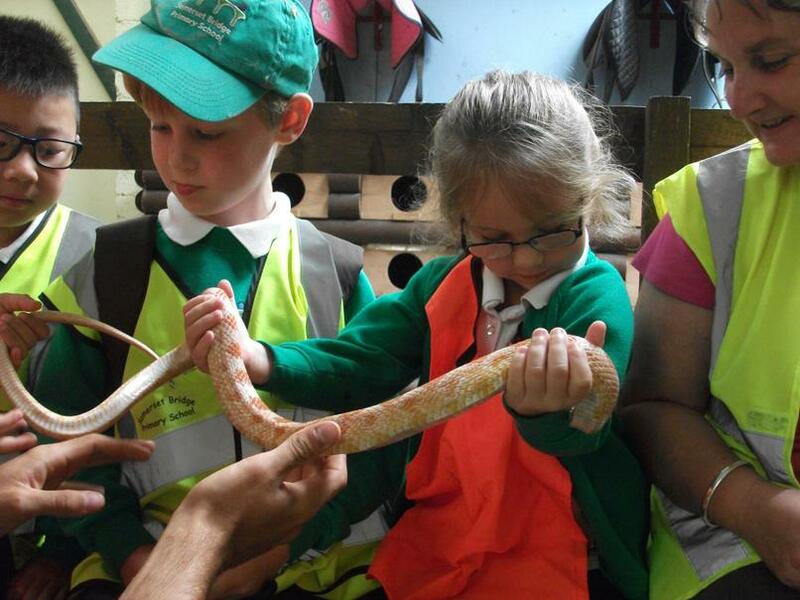 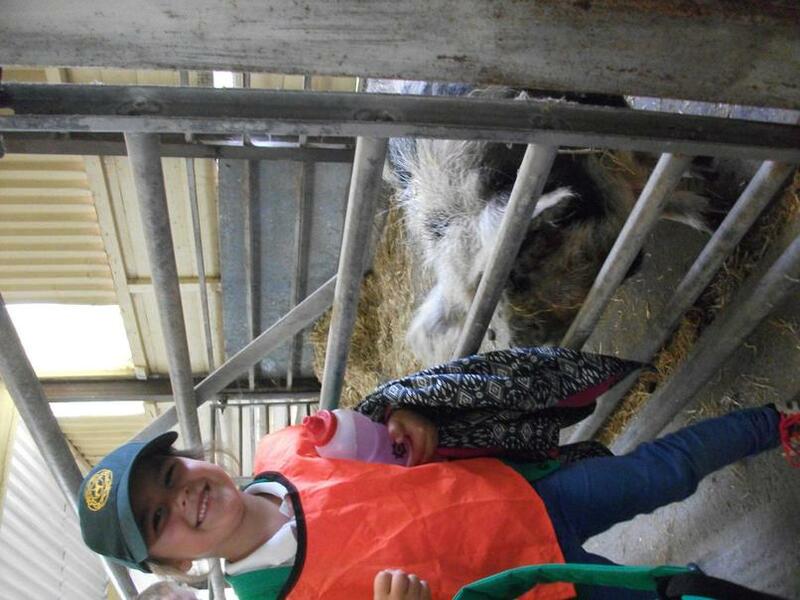 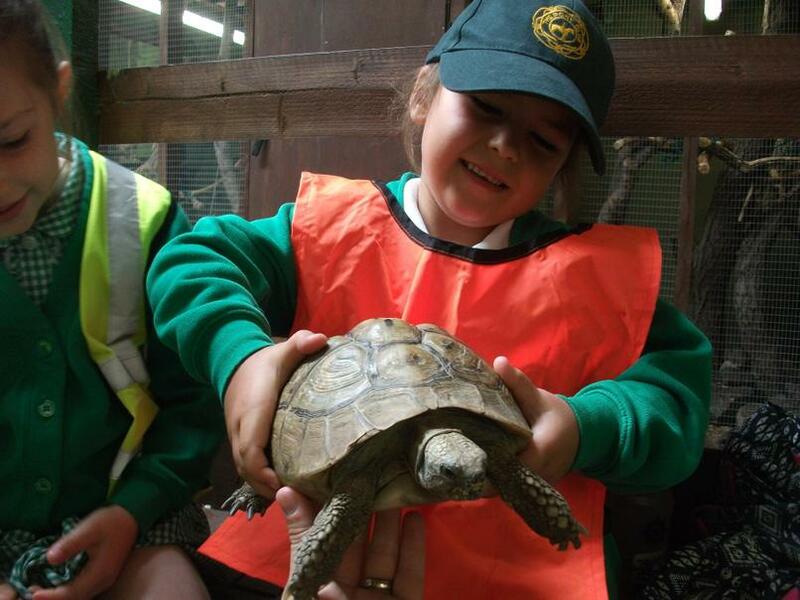 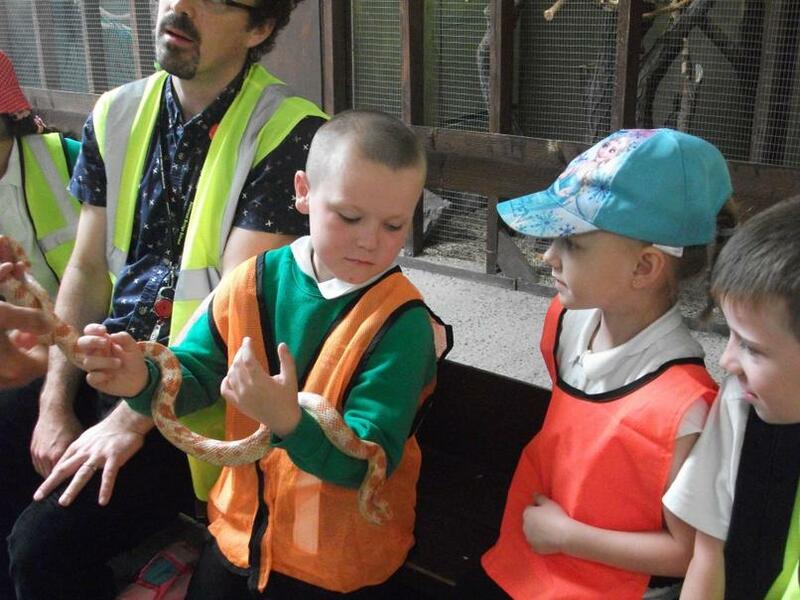 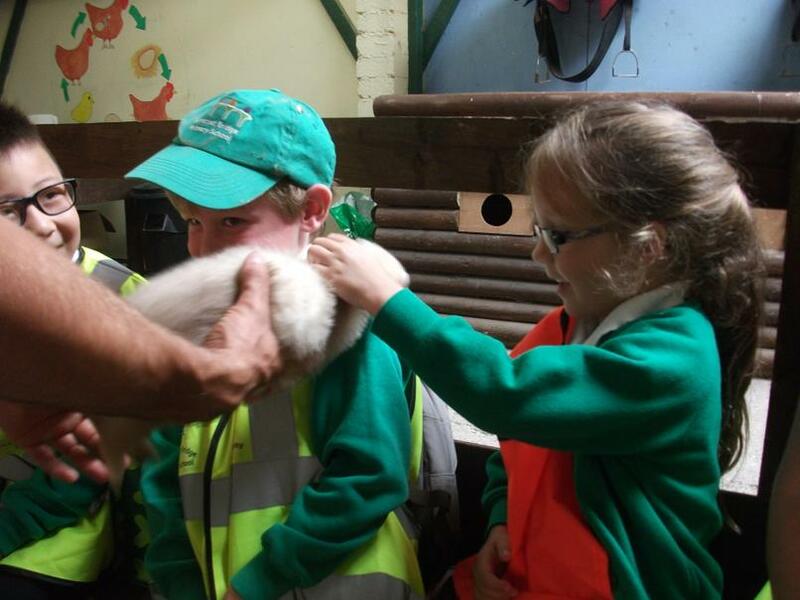 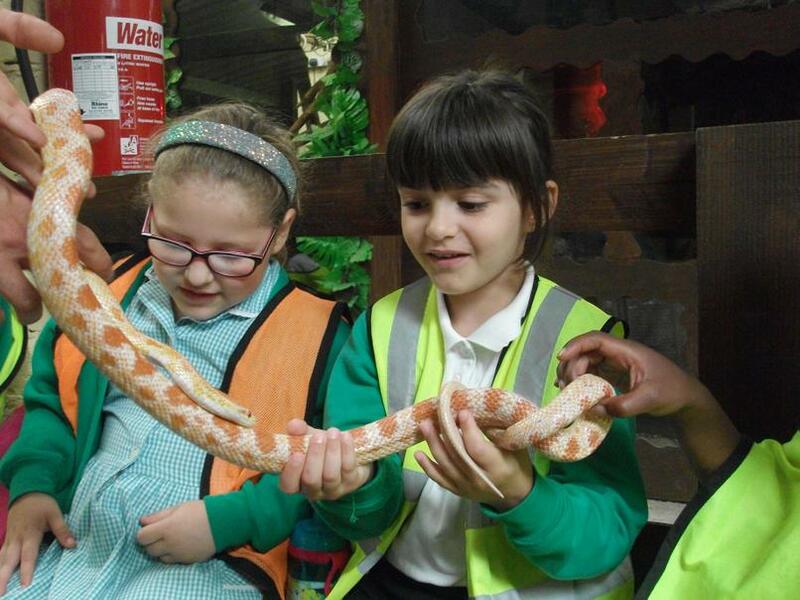 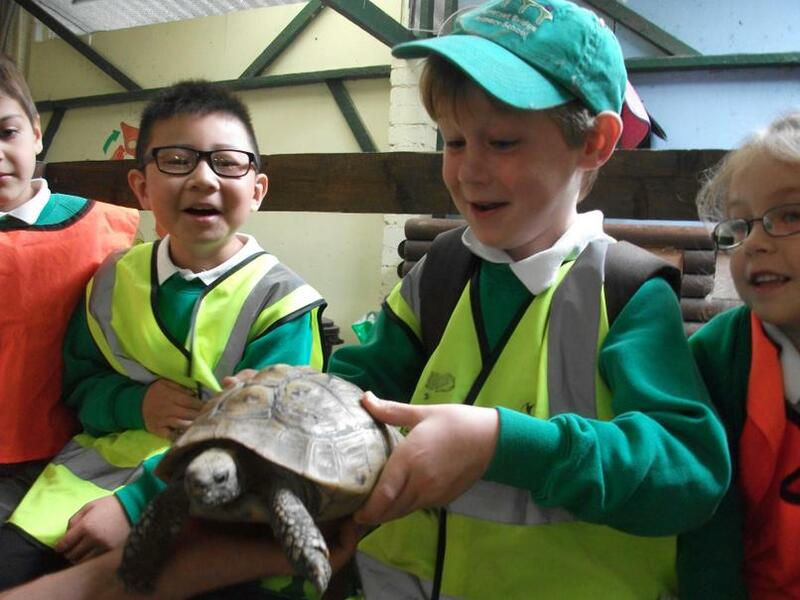 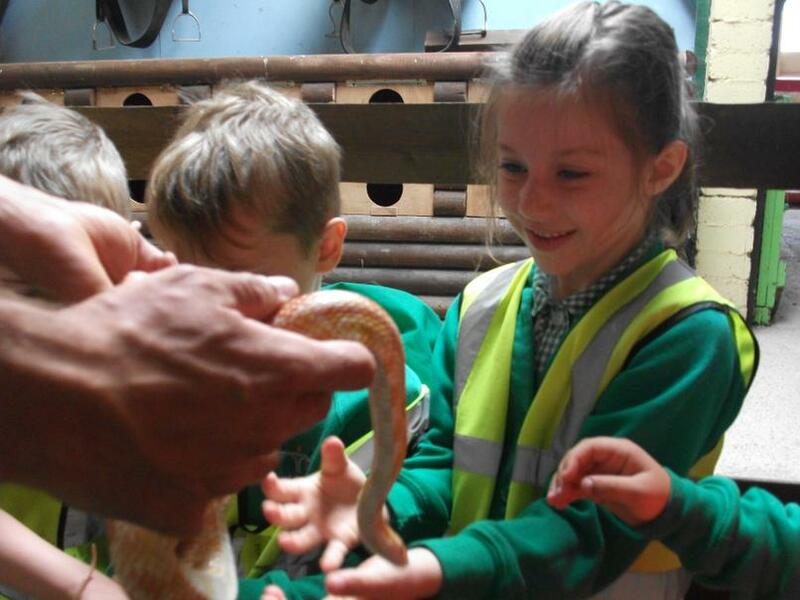 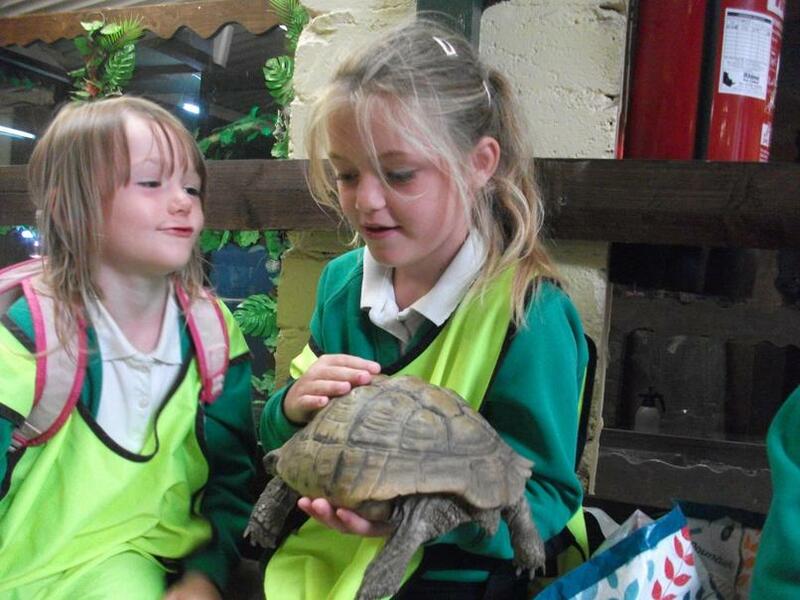 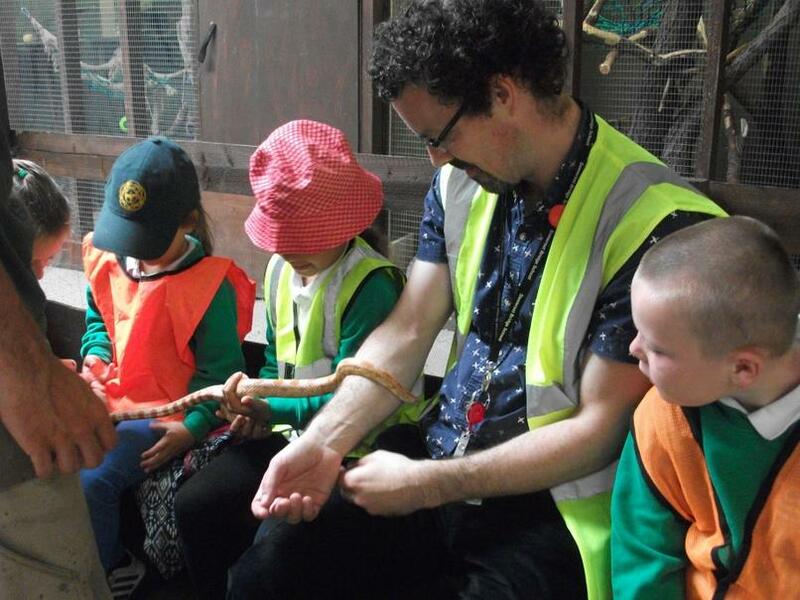 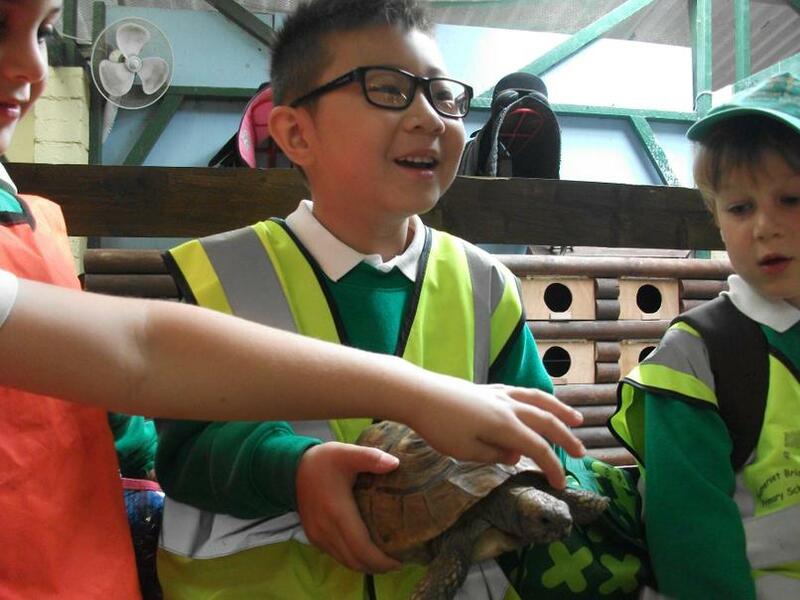 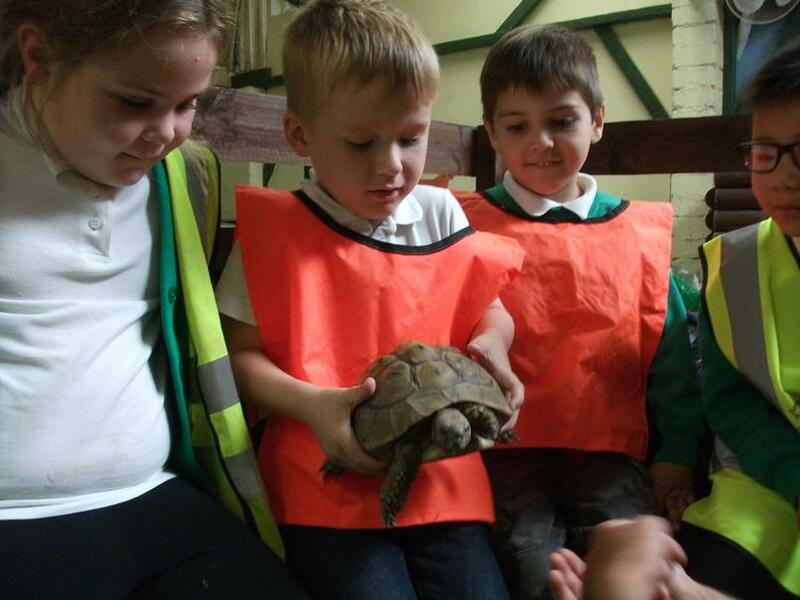 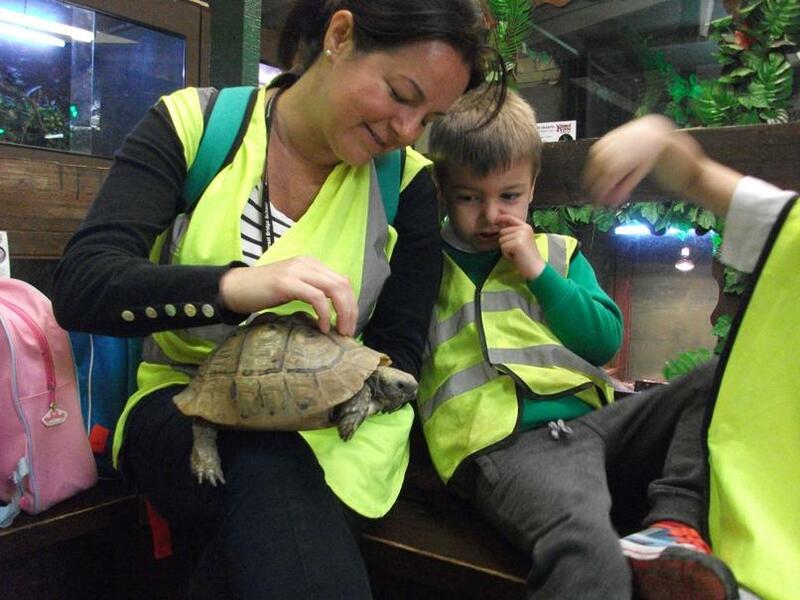 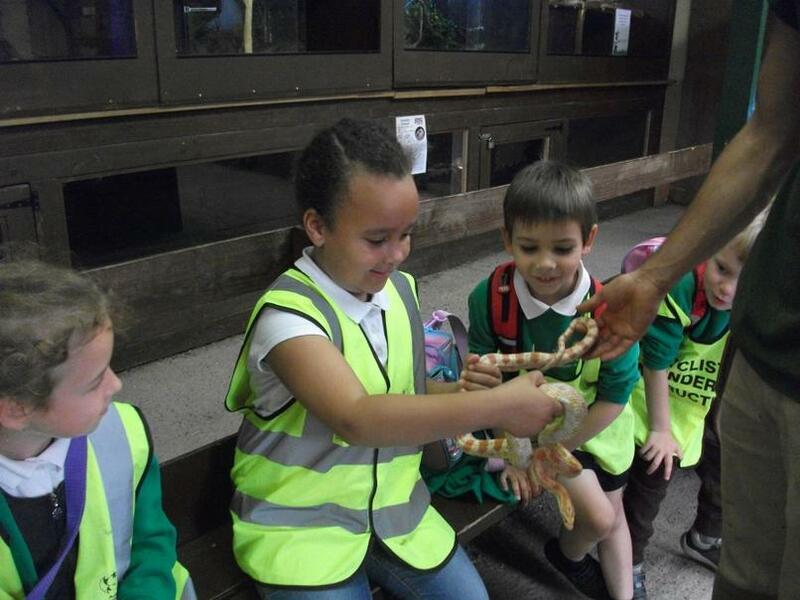 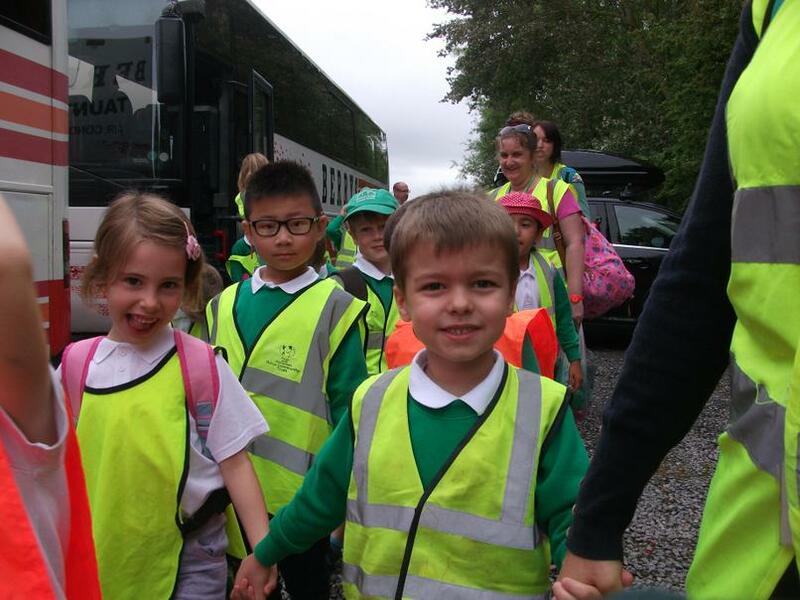 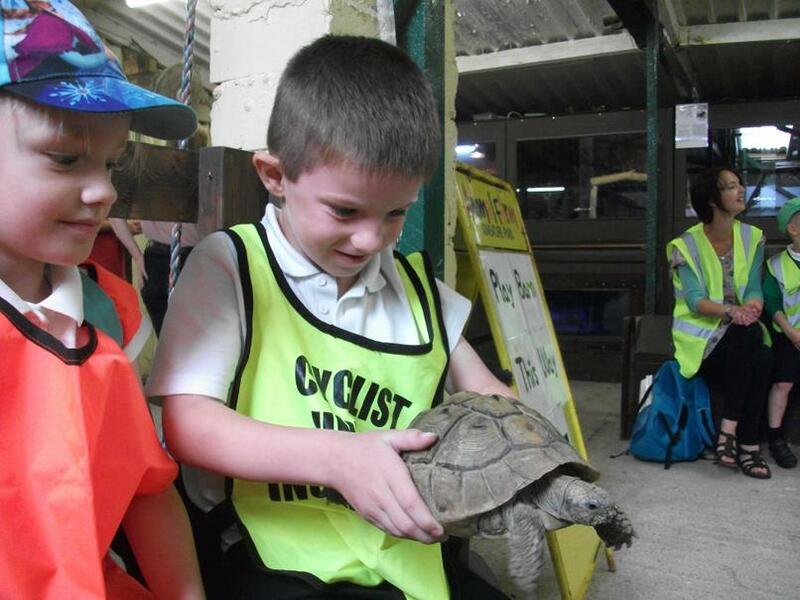 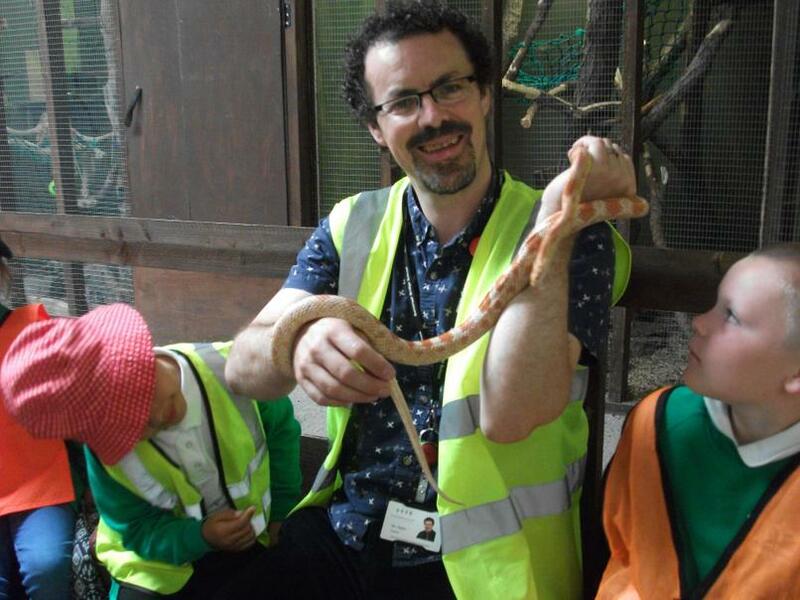 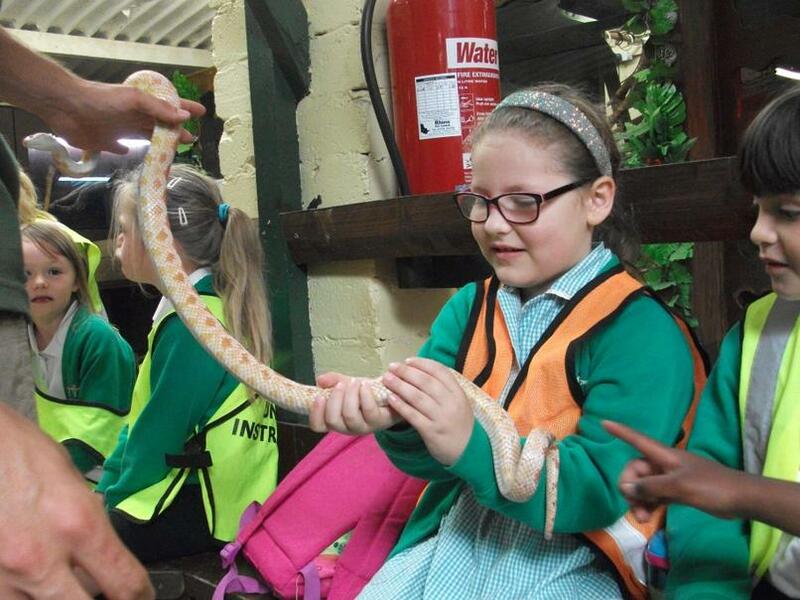 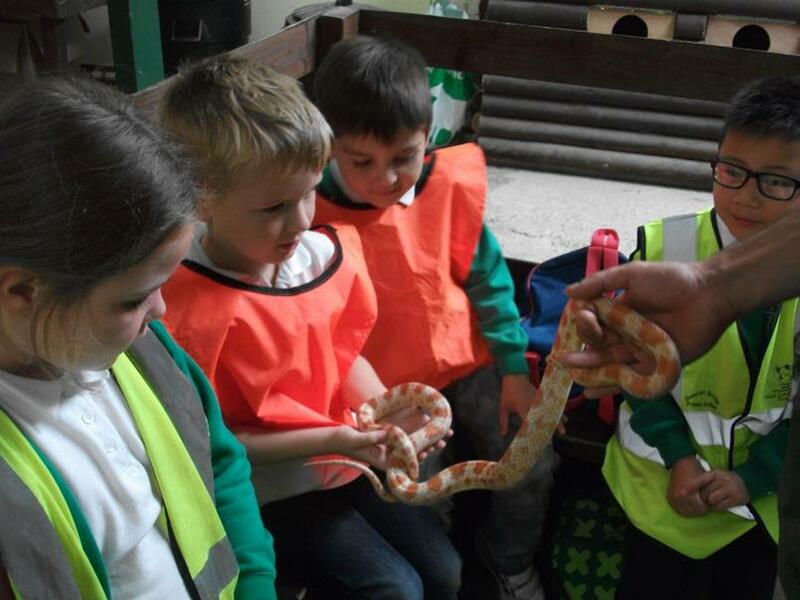 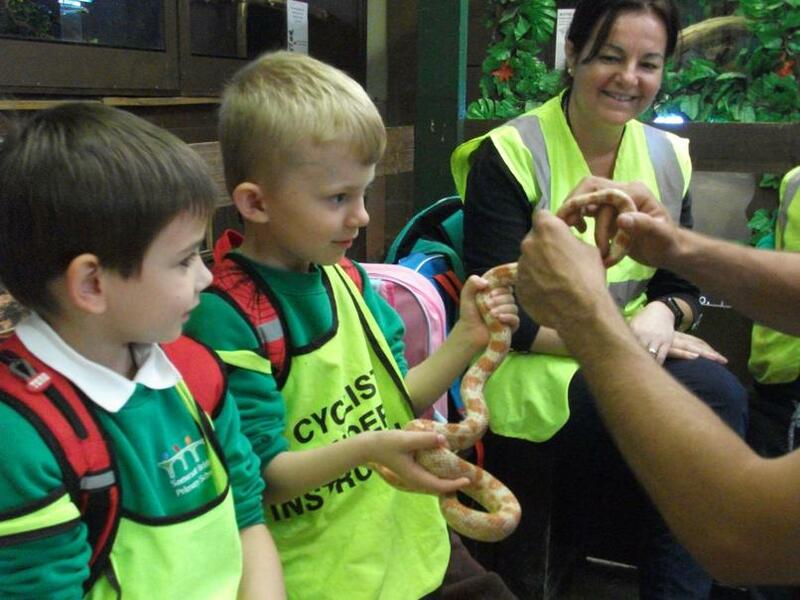 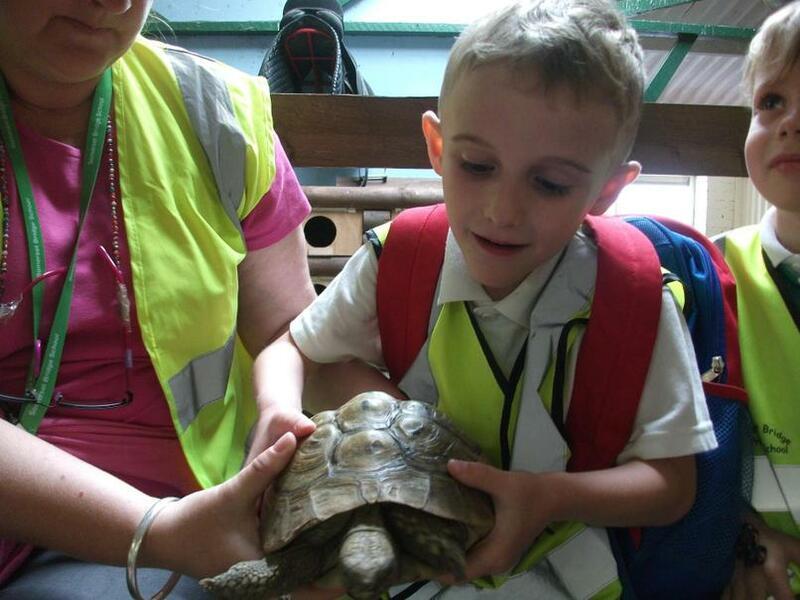 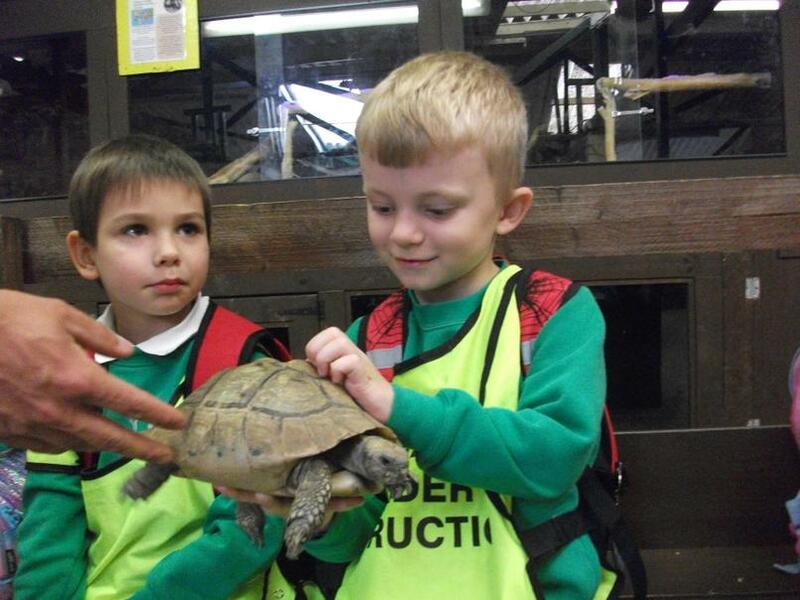 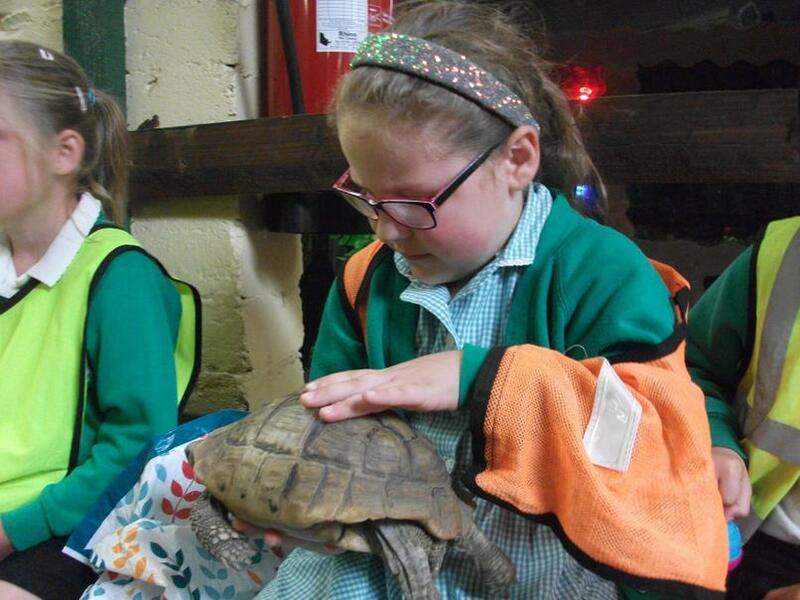 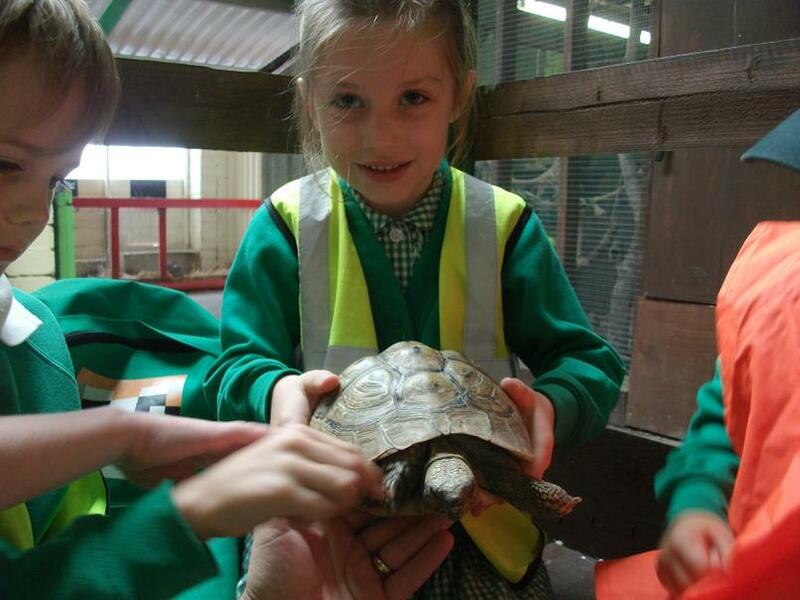 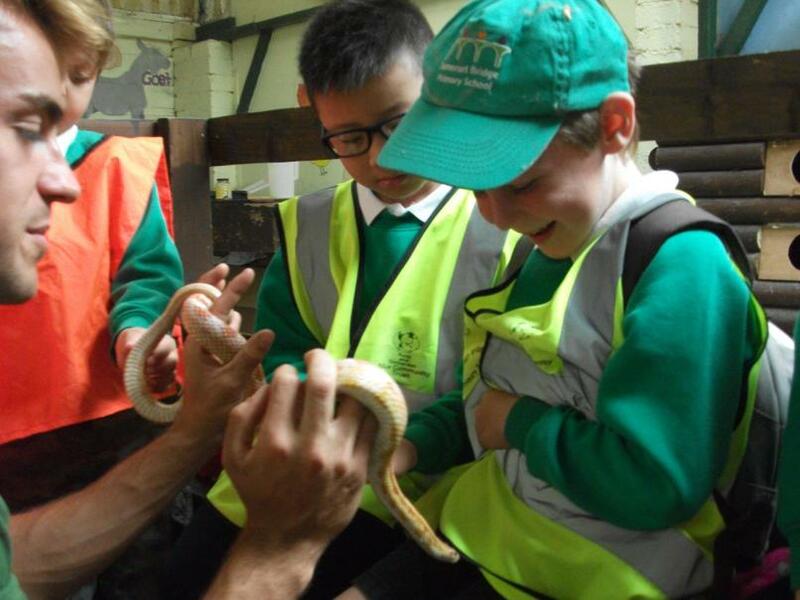 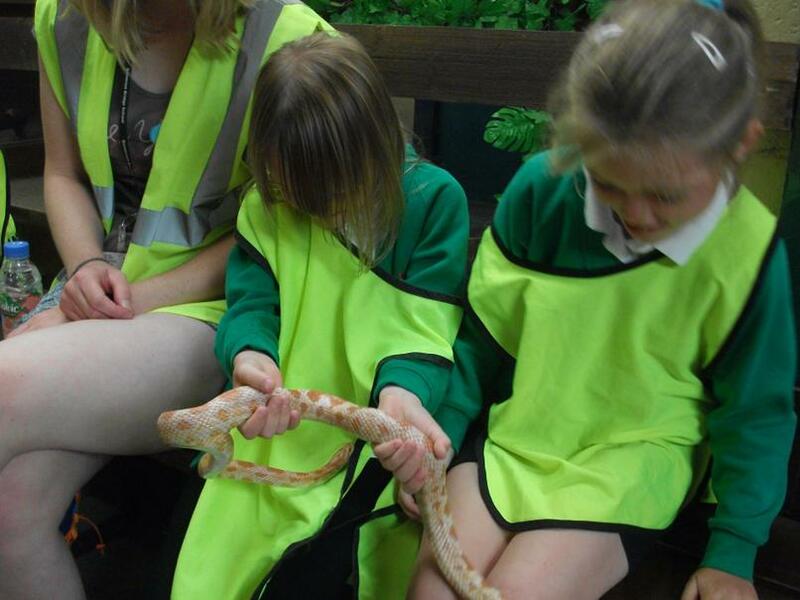 It was lovely to have an opportunity to hold and learn about the animals. 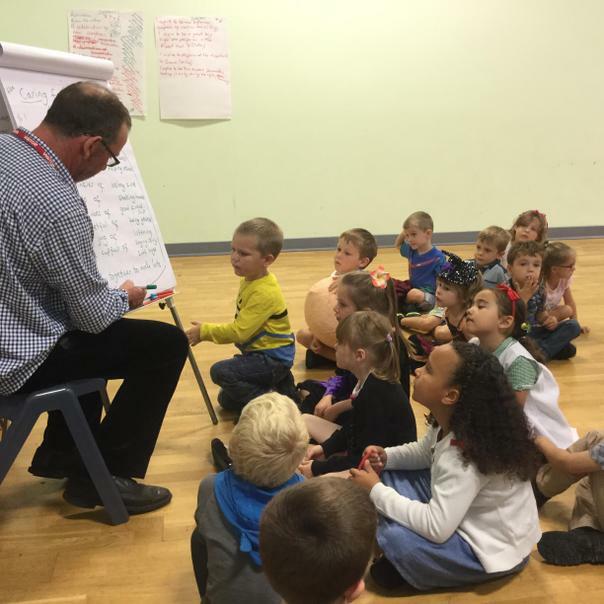 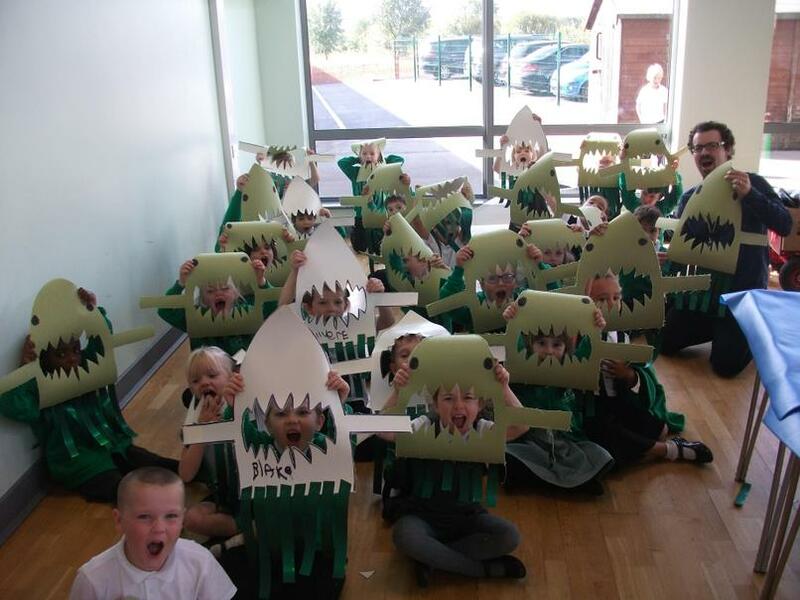 World Book Day - Wow! 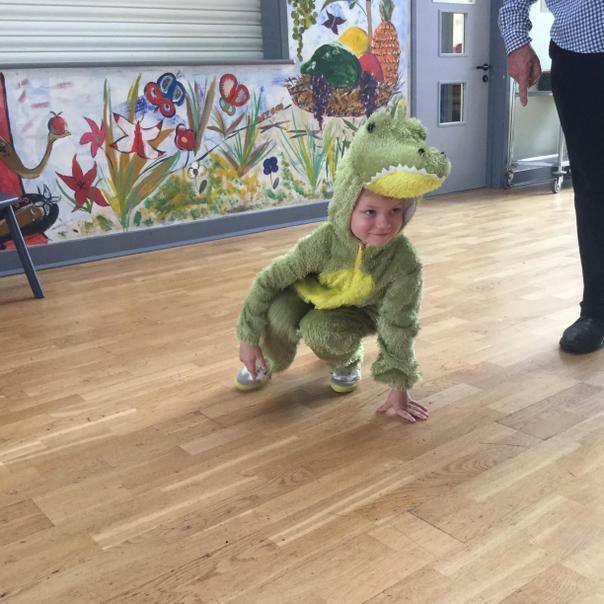 What a lovely day we've had celebrating World Book Day. 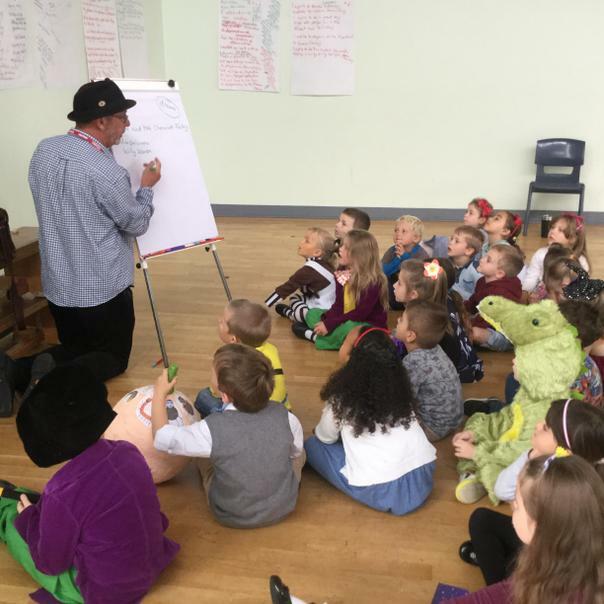 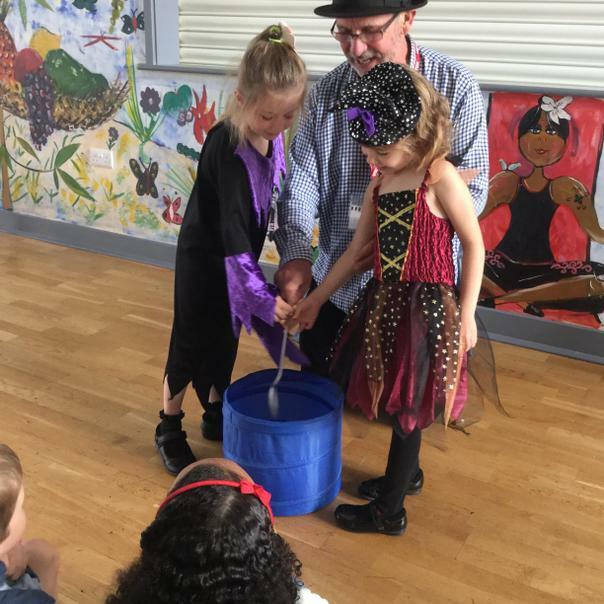 It was a real joy to see the children dressed as characters from their favourite books and Gangster Granny even popped in to say hi! 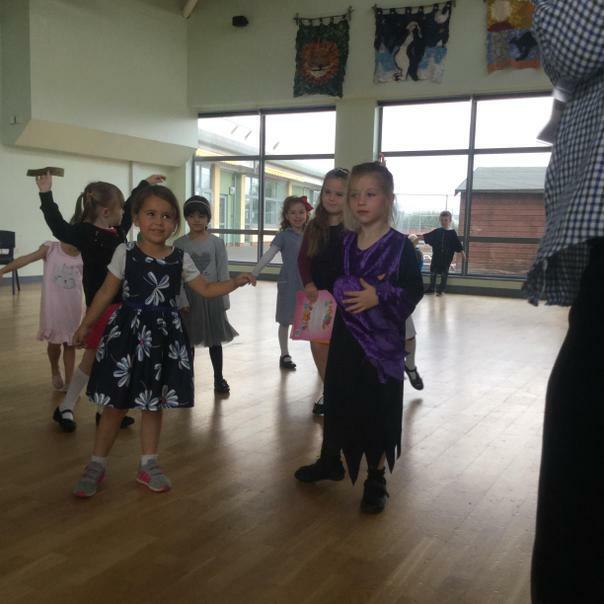 A Miracle in Town - what a joy it was to see the children performing our Christmas Nativity. 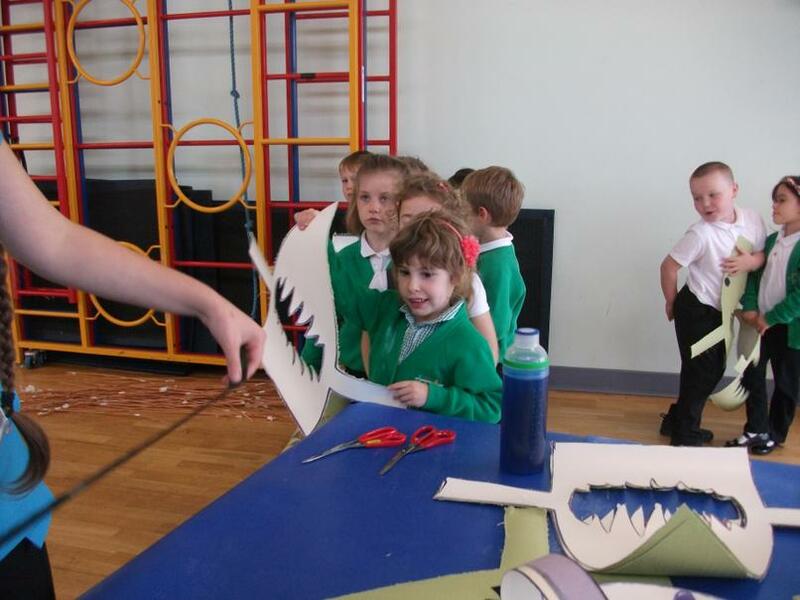 They had all worked so hard and I'm sure you'll agree that they put on a great show. 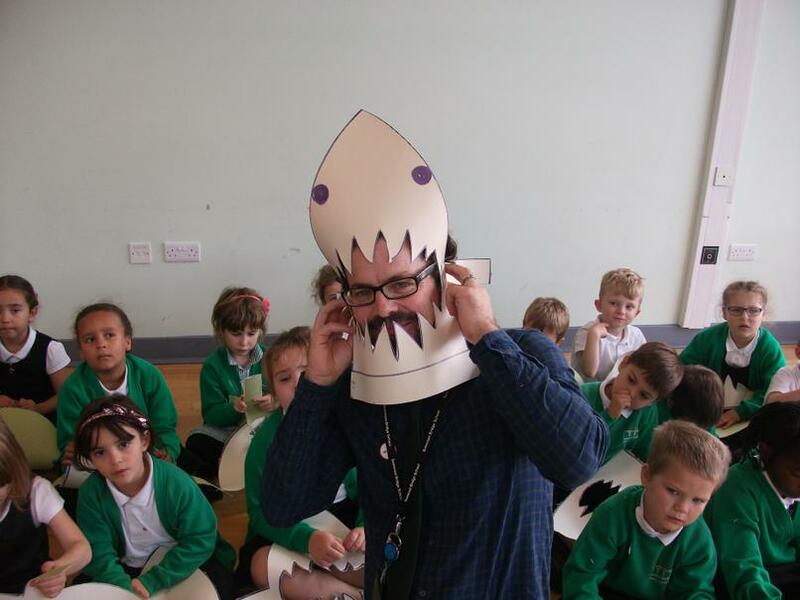 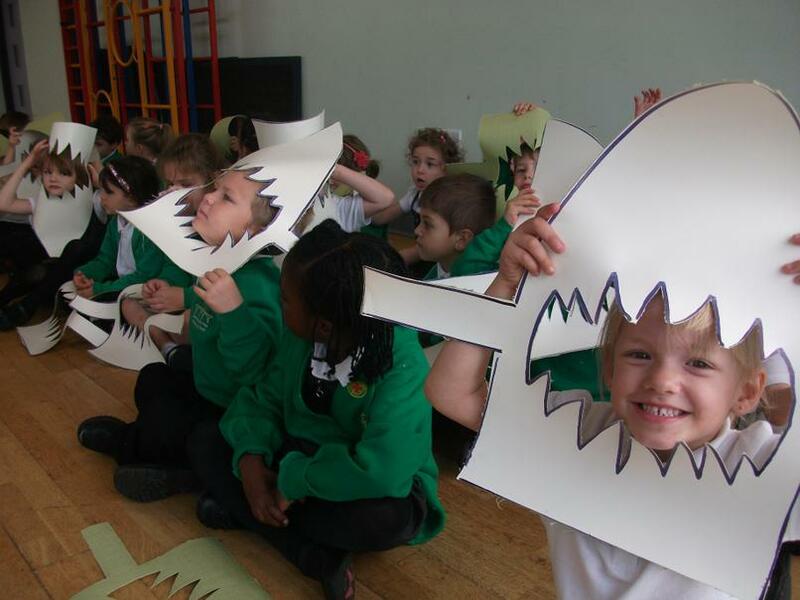 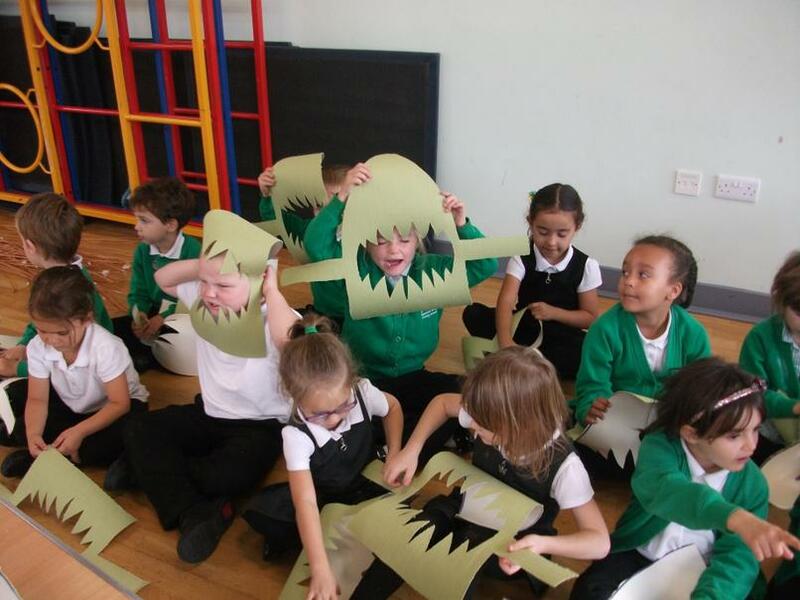 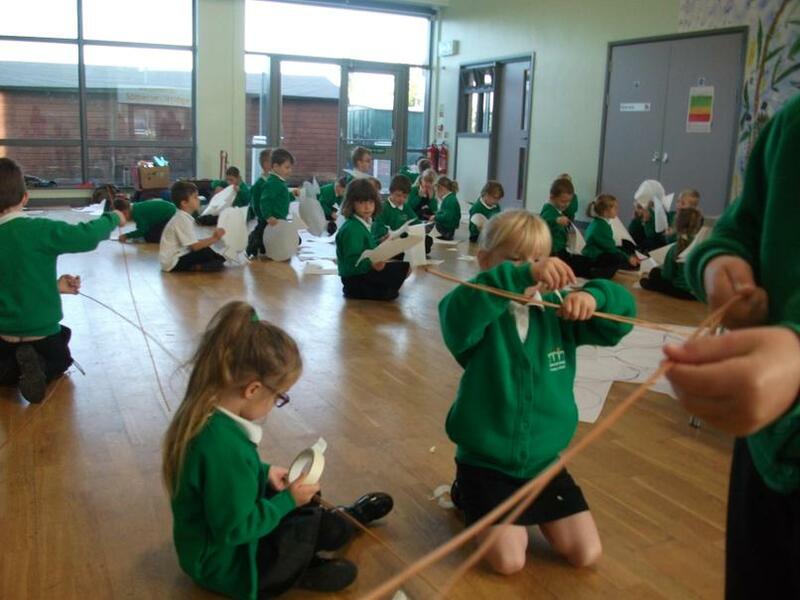 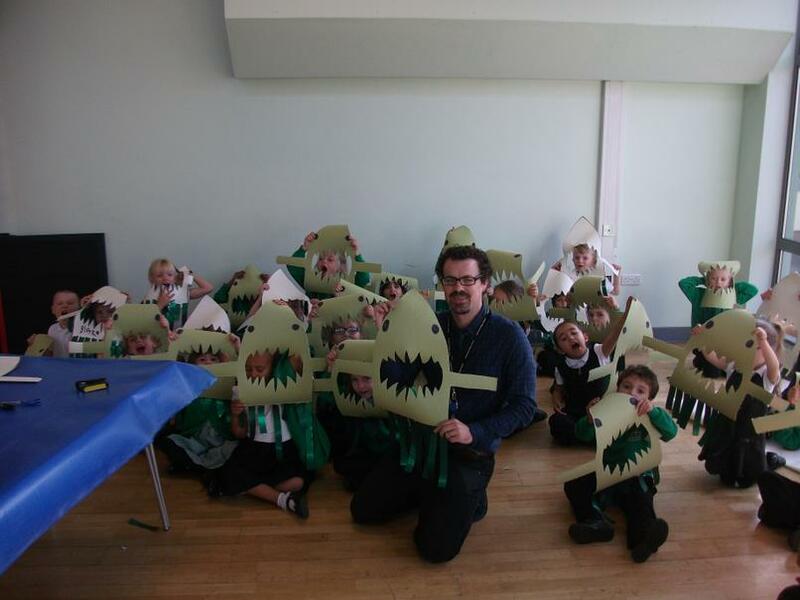 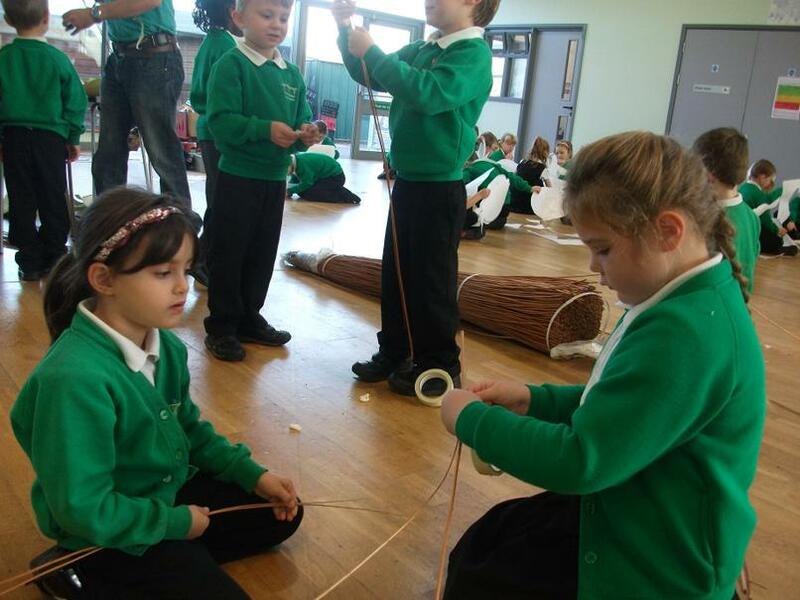 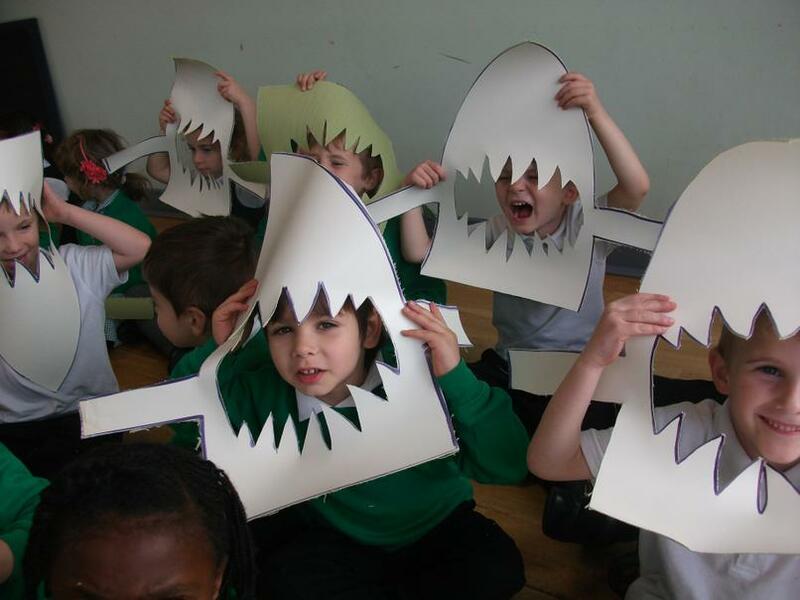 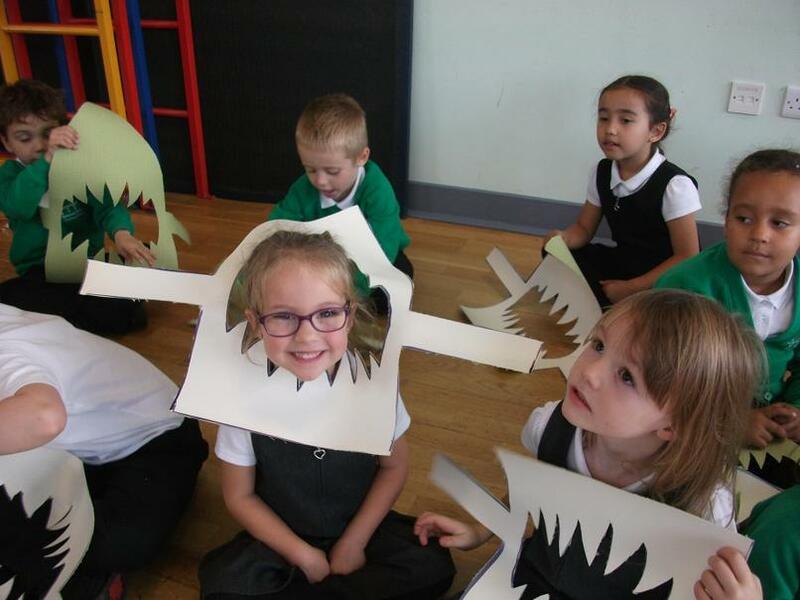 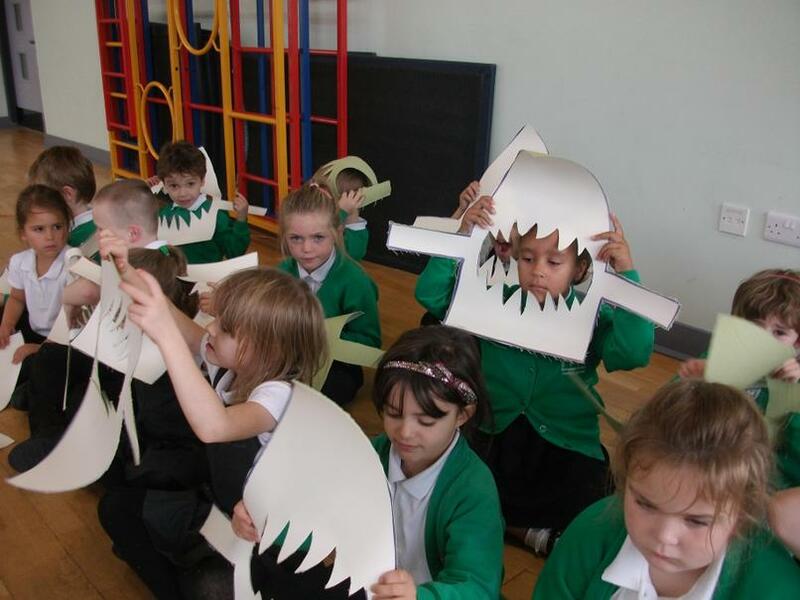 Carnival Workshop - we all had a great time learning how to make carnival masks. 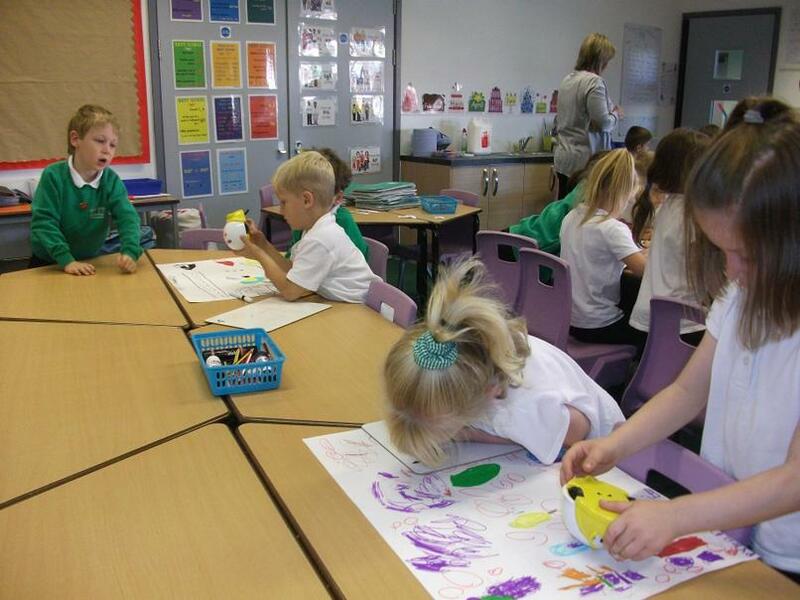 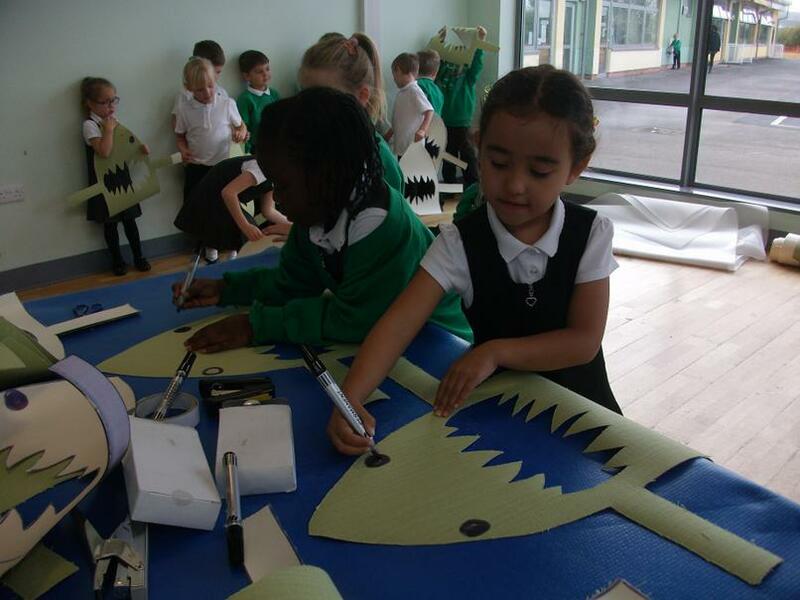 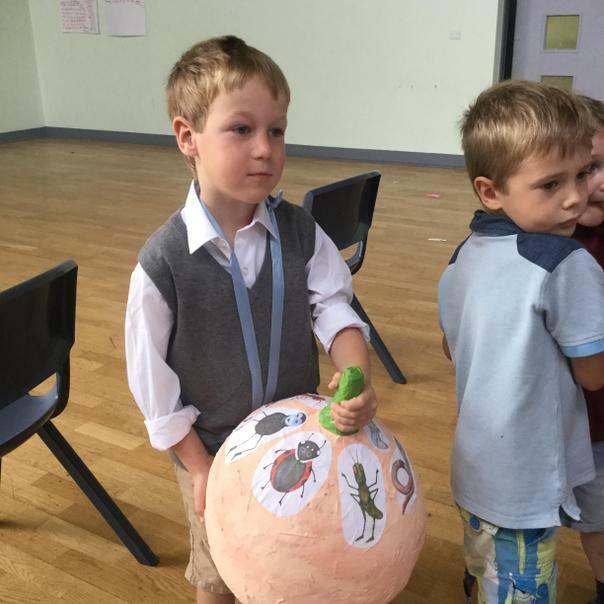 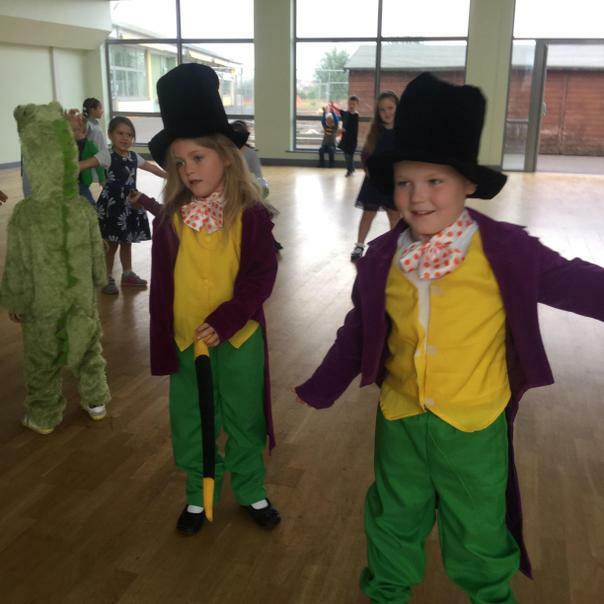 Roald Dahl Day - what an exciting day we had dressing up as characters from our favourite Roald Dahl stories! 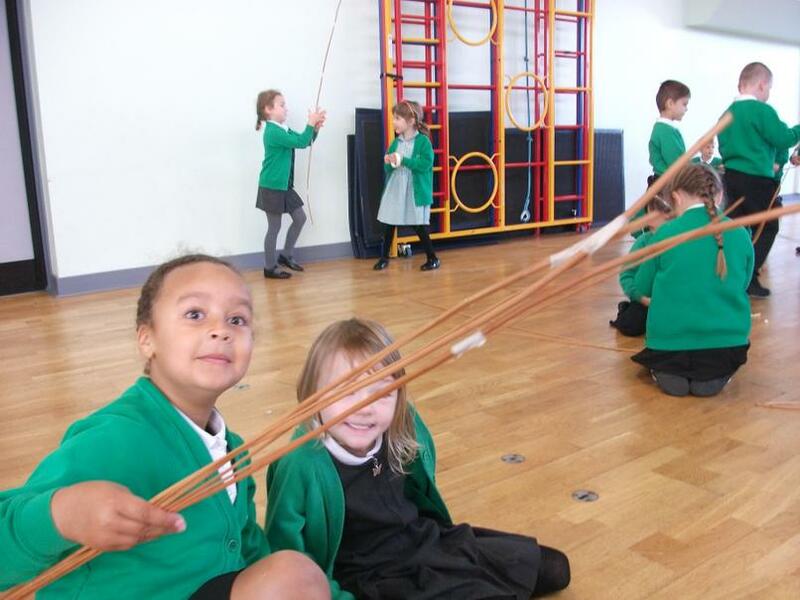 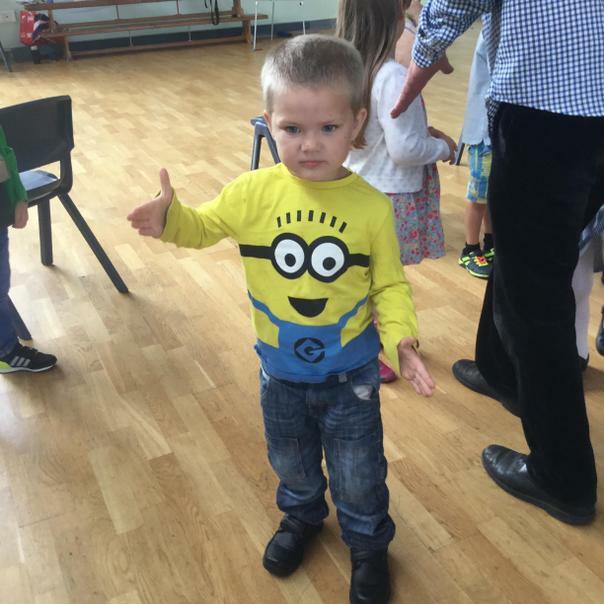 PE - in PE the children have been working on balance and their core motor skills. 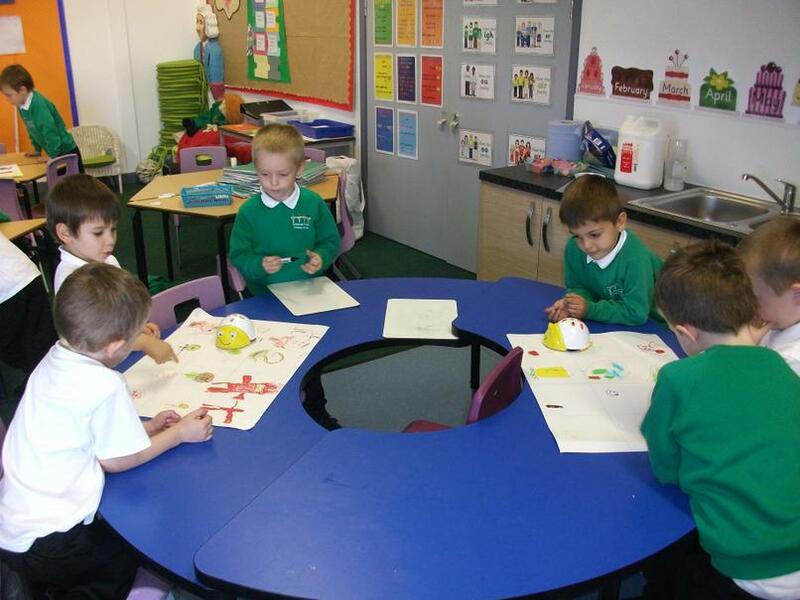 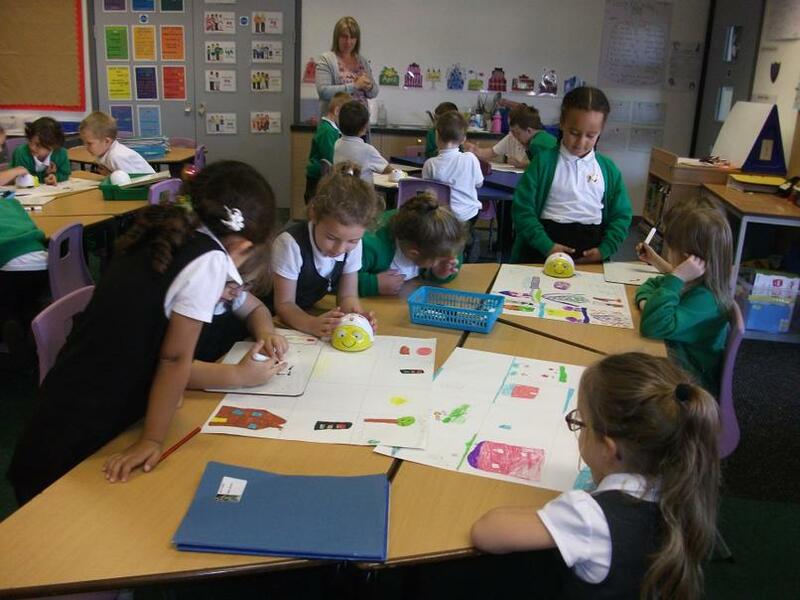 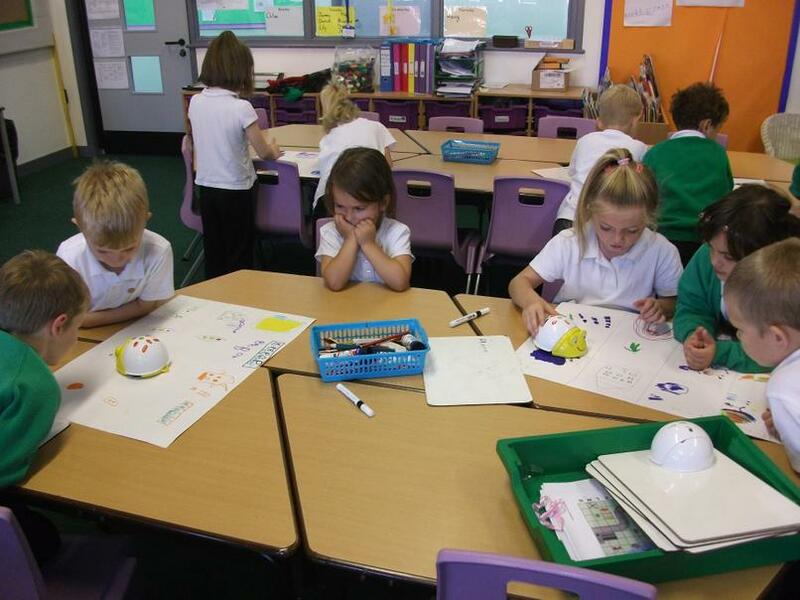 Computing - In Computing we have been having fun learning how to program the BeeBot robots.